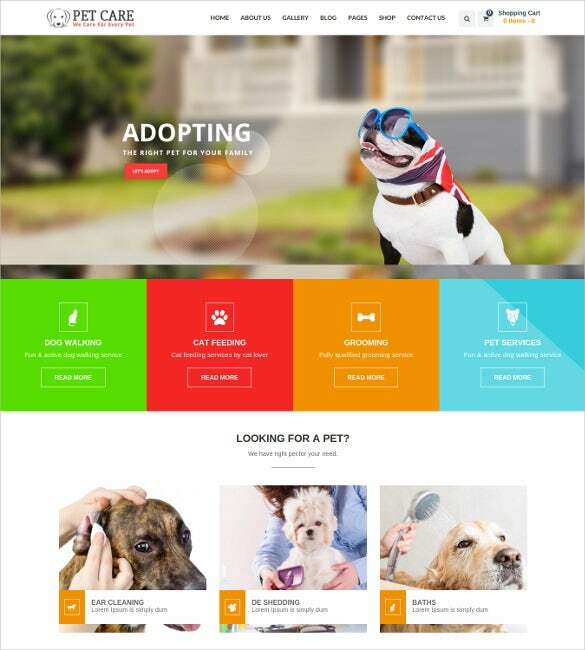 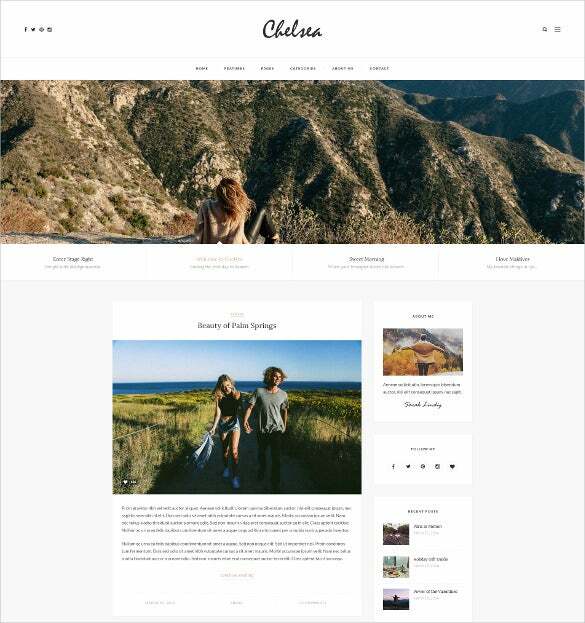 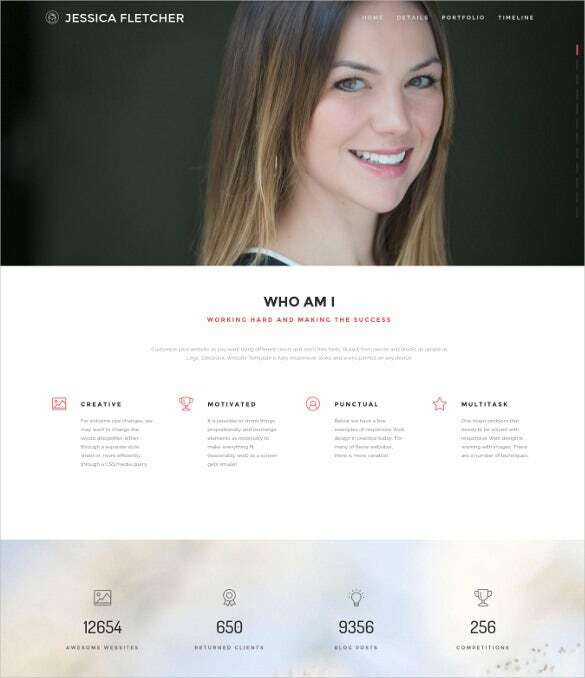 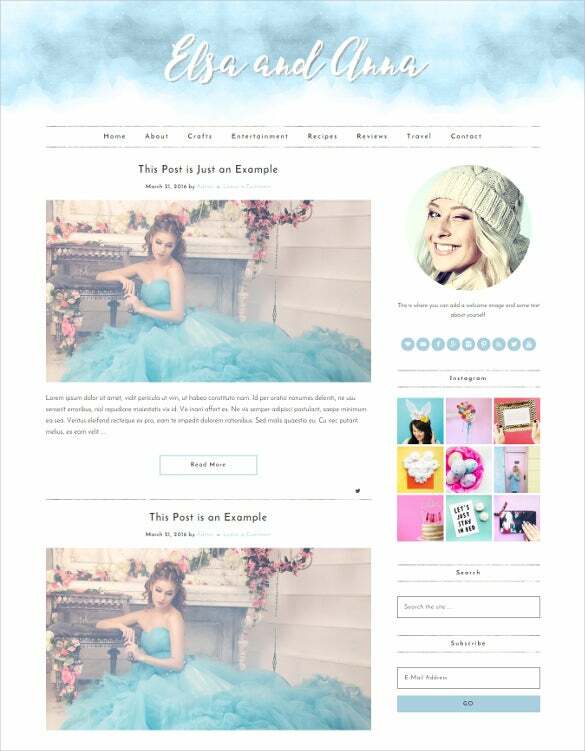 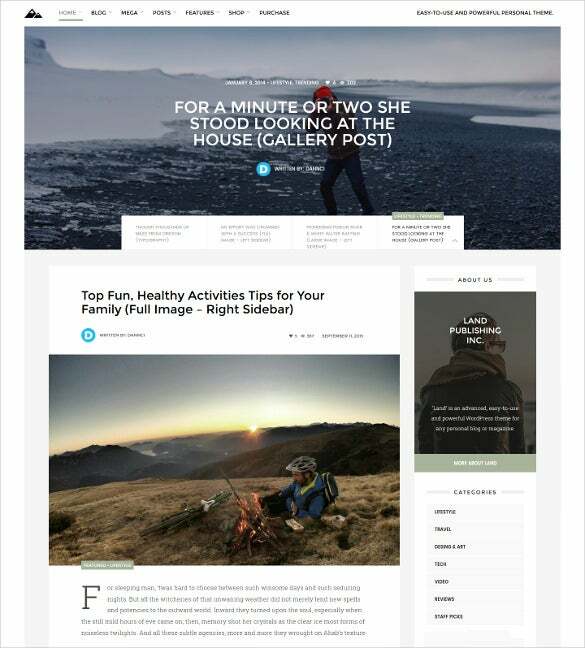 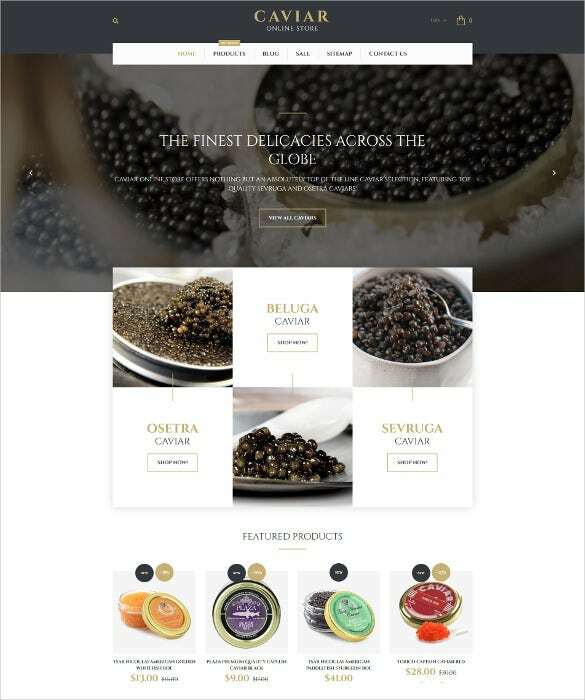 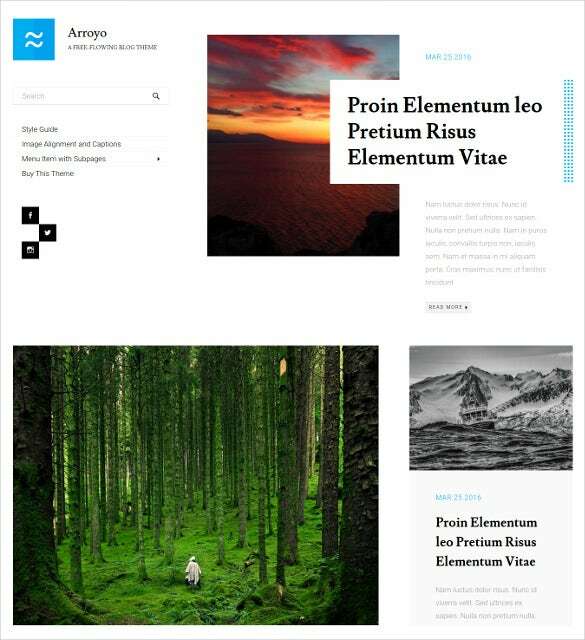 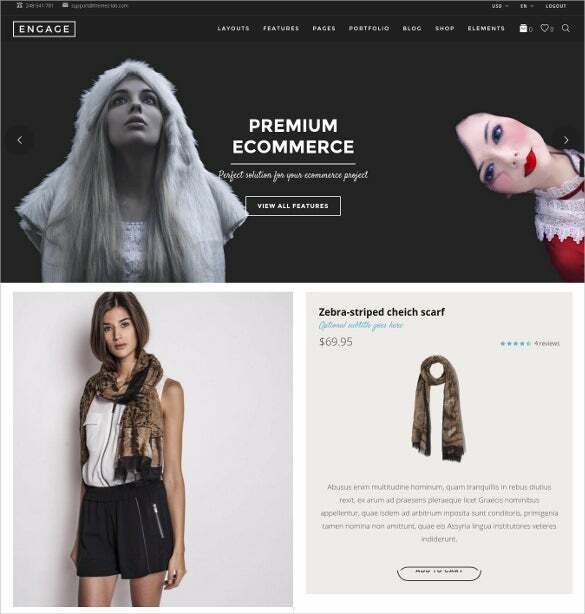 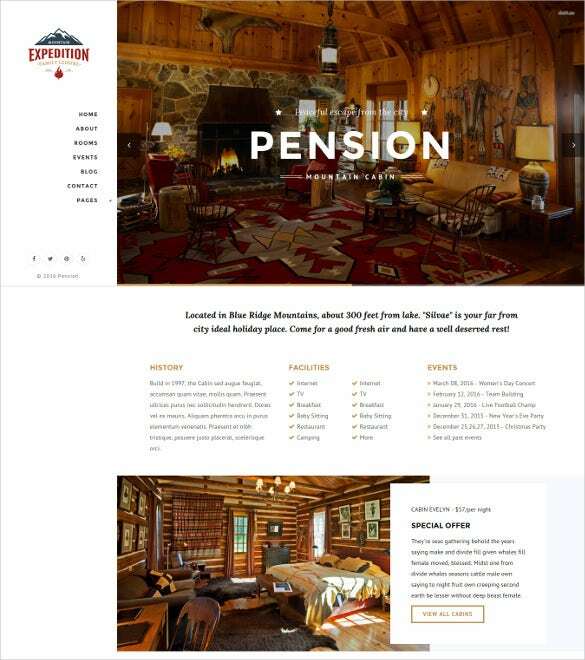 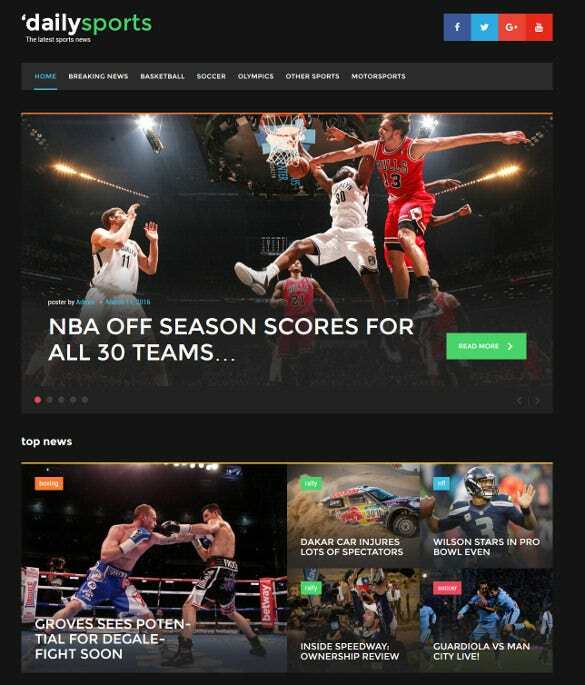 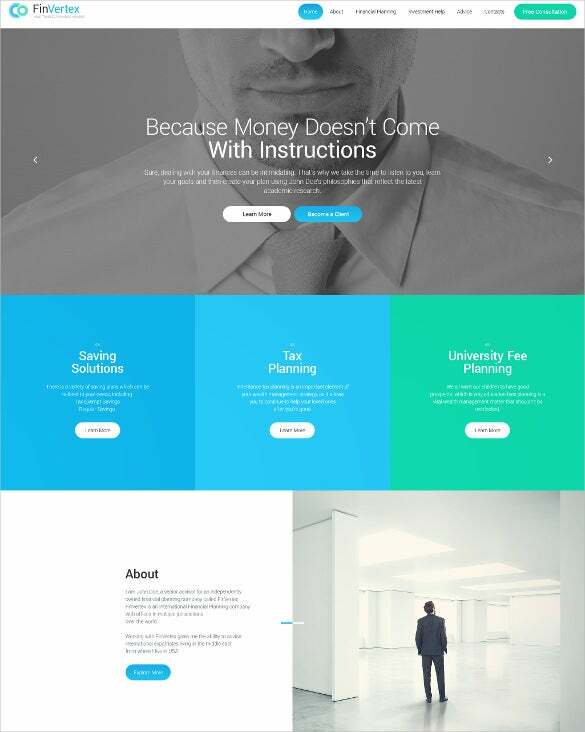 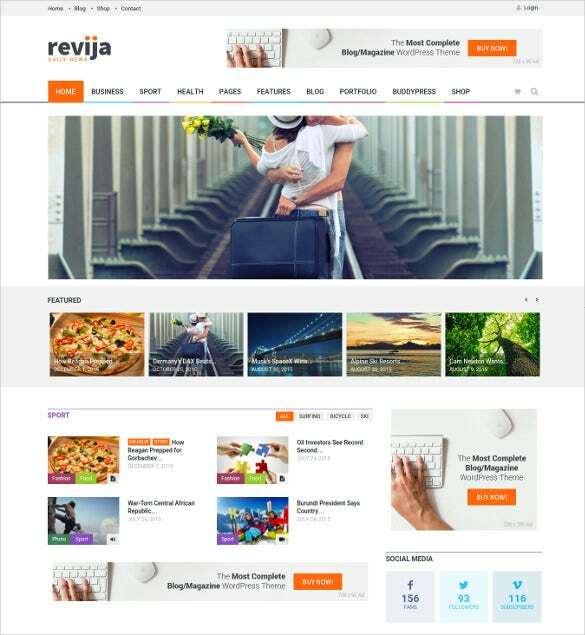 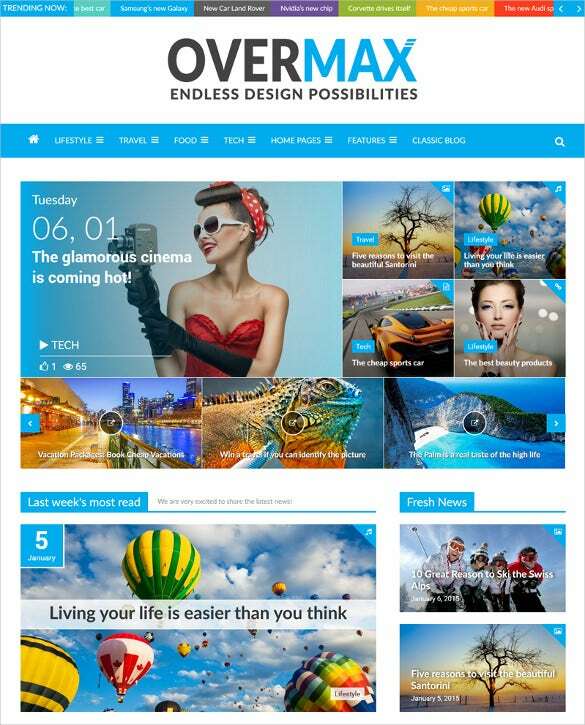 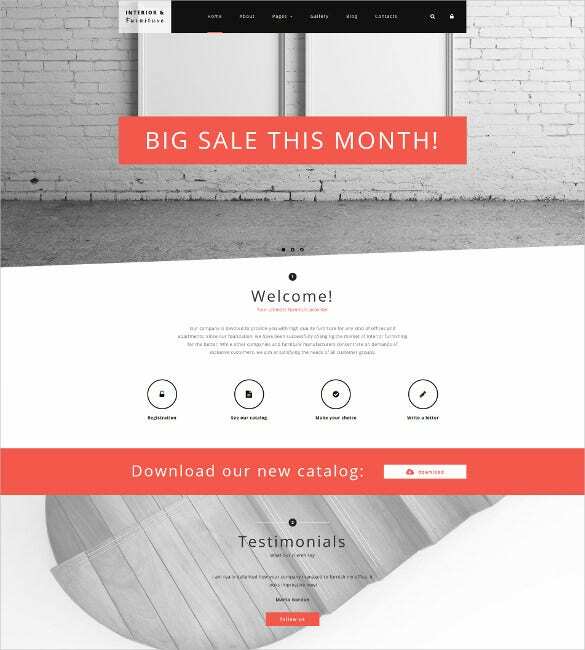 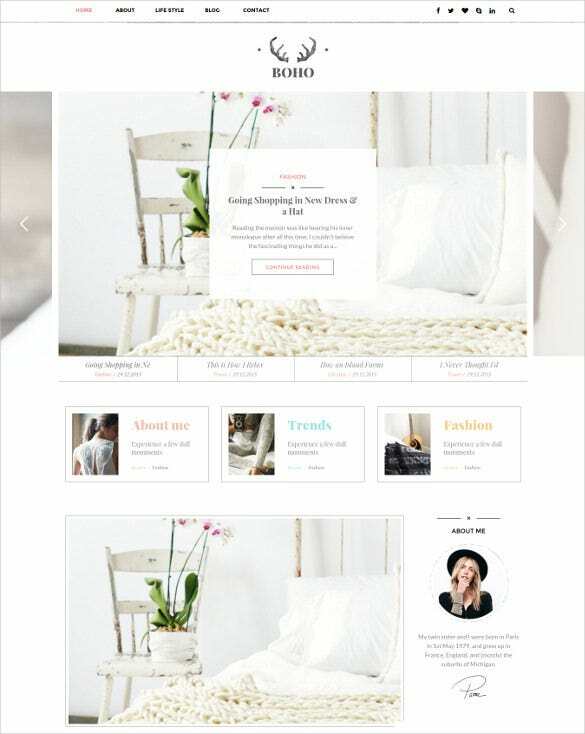 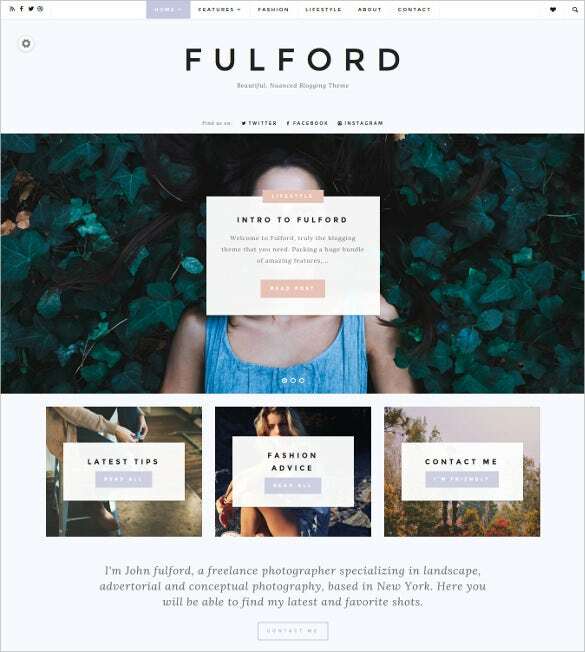 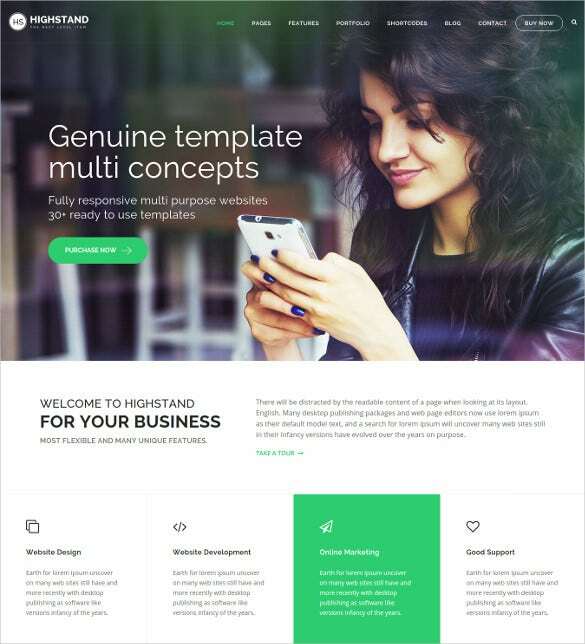 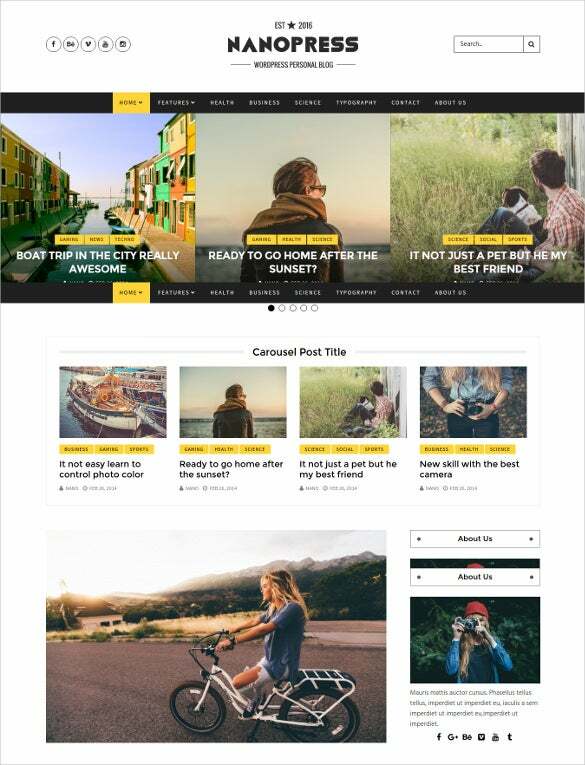 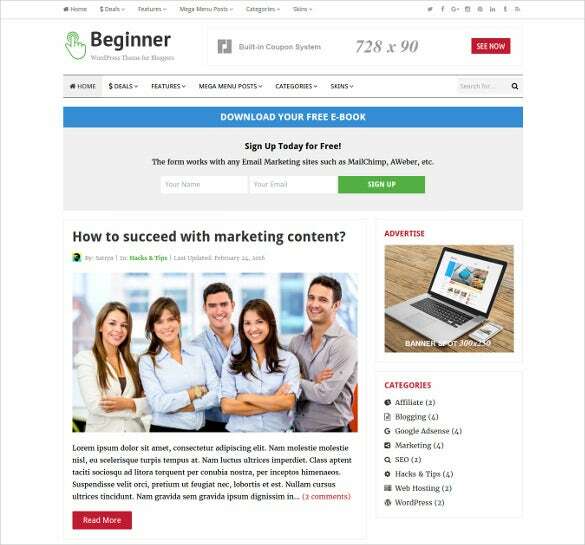 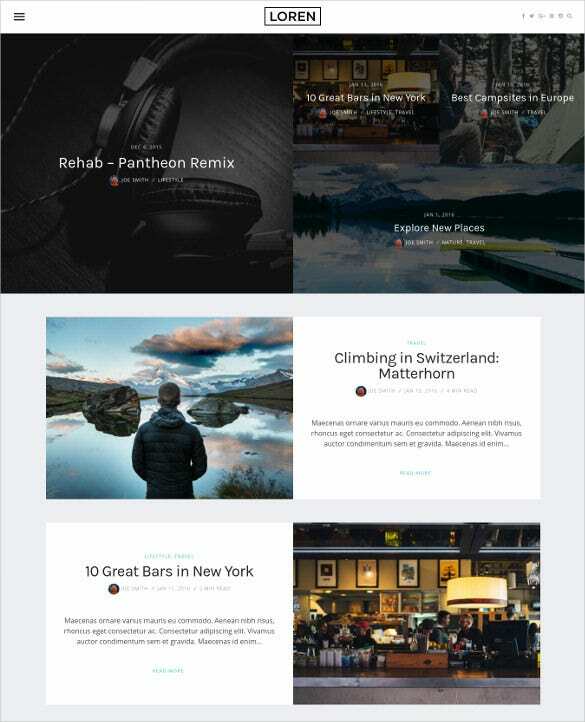 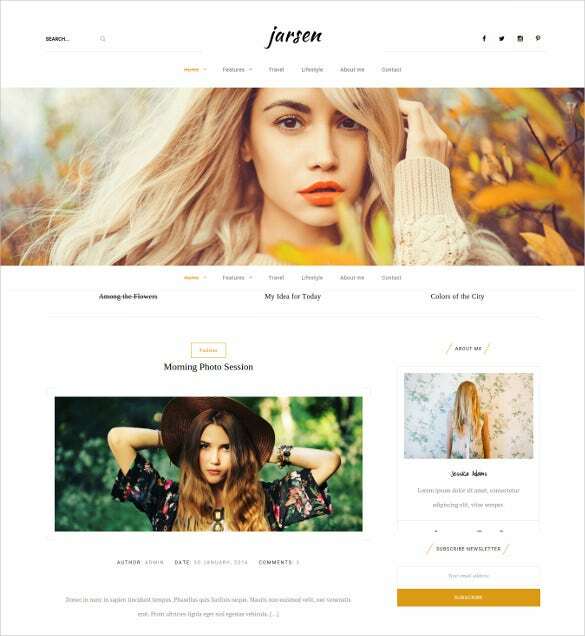 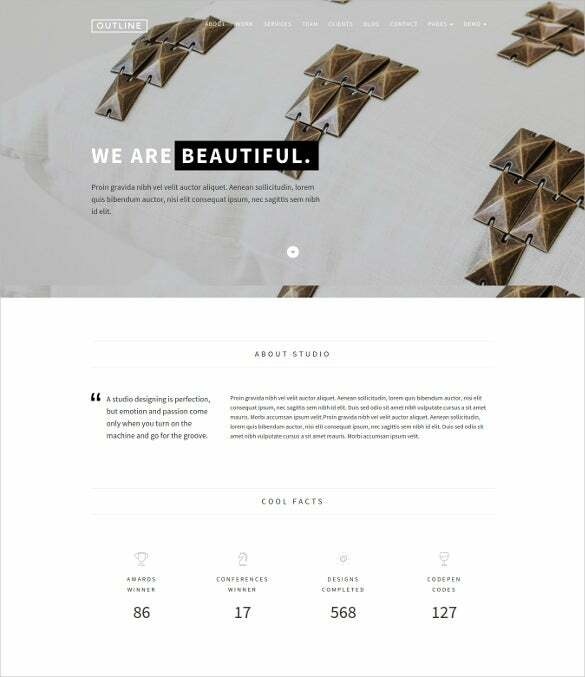 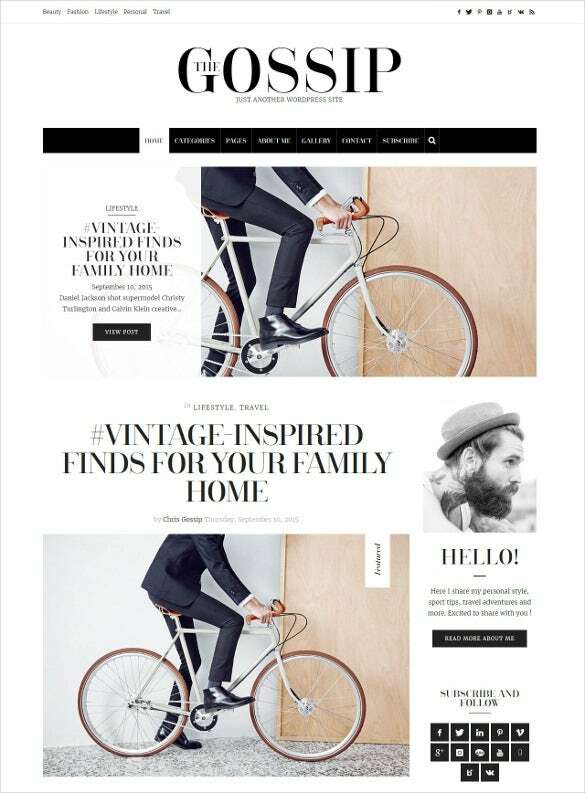 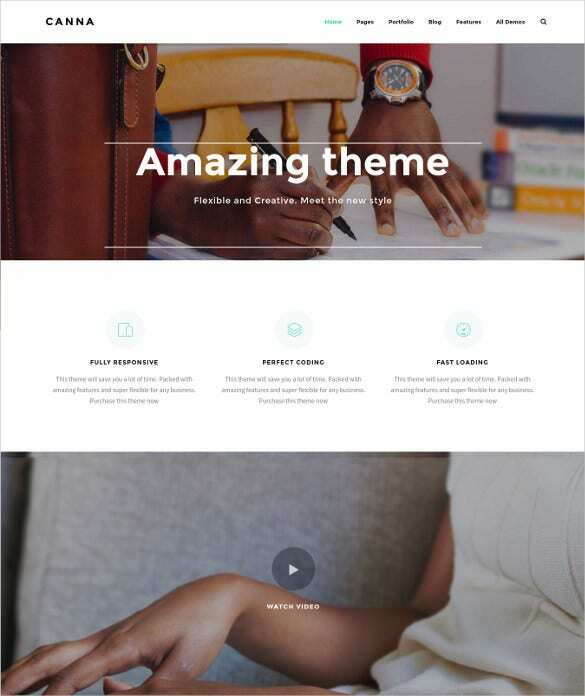 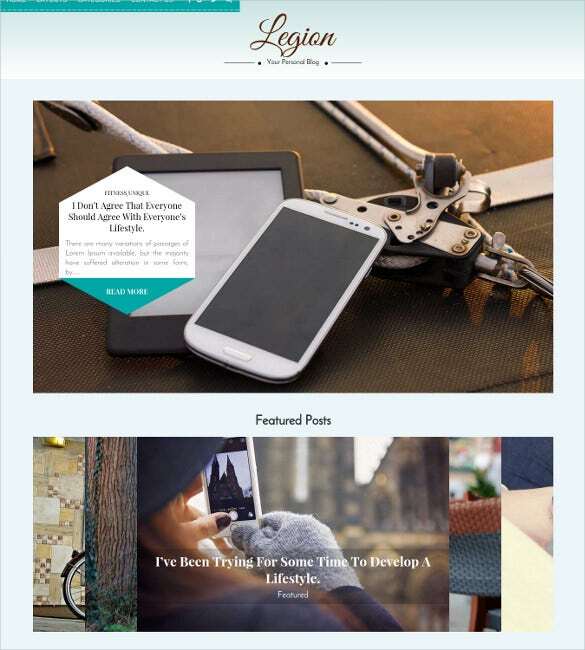 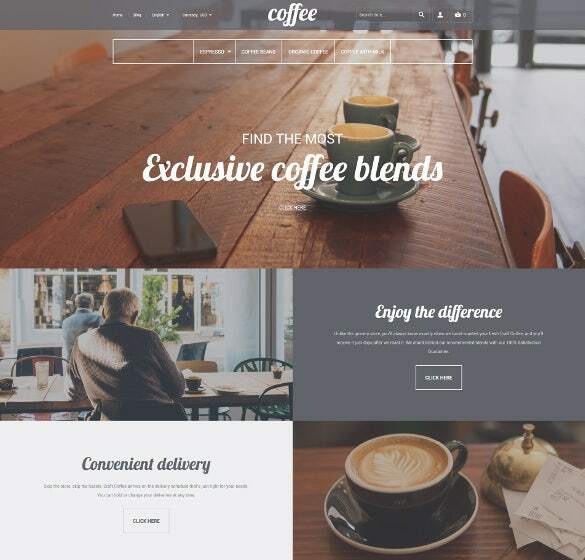 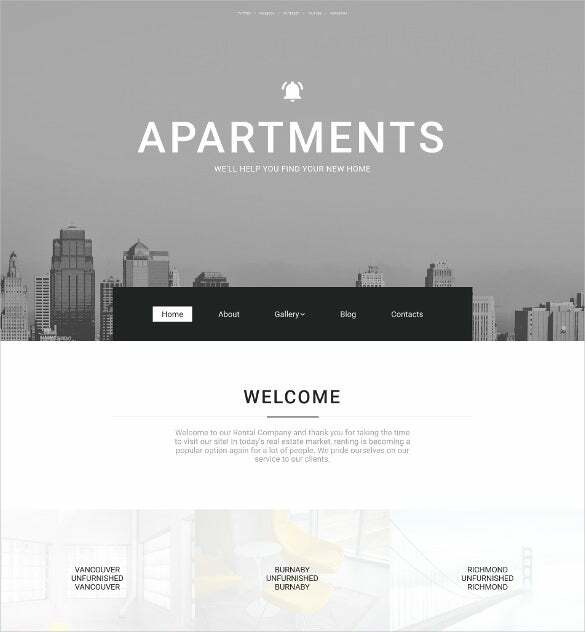 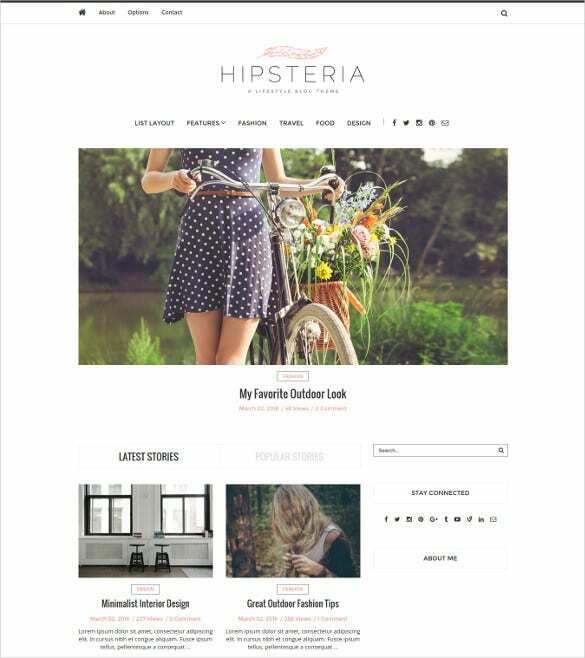 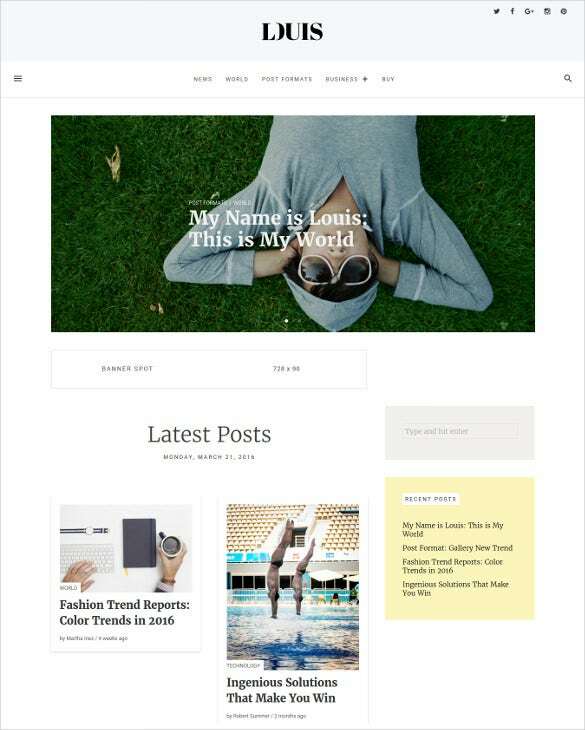 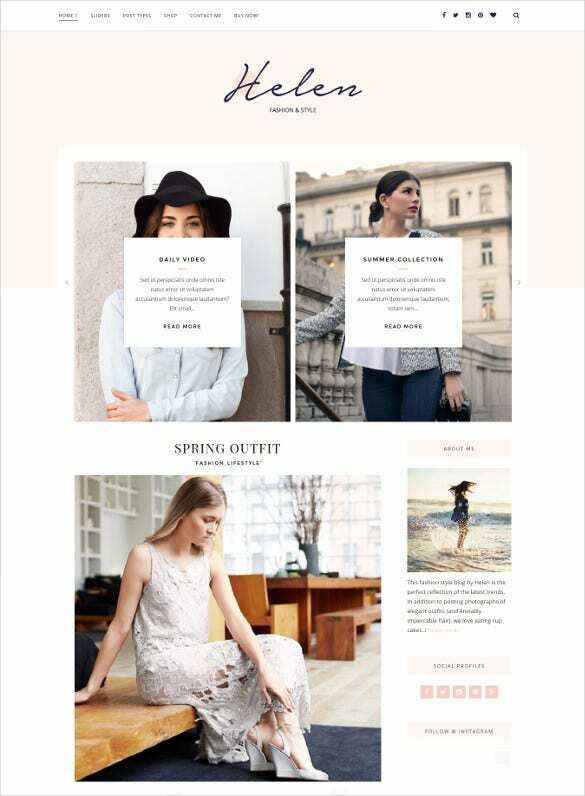 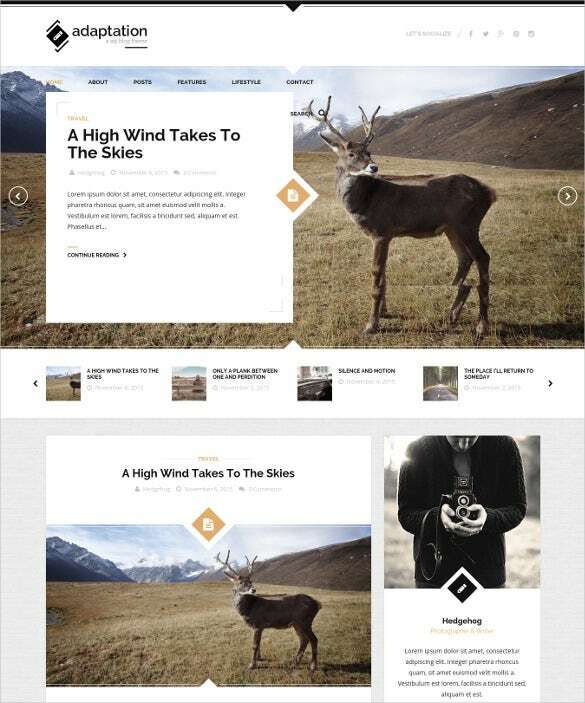 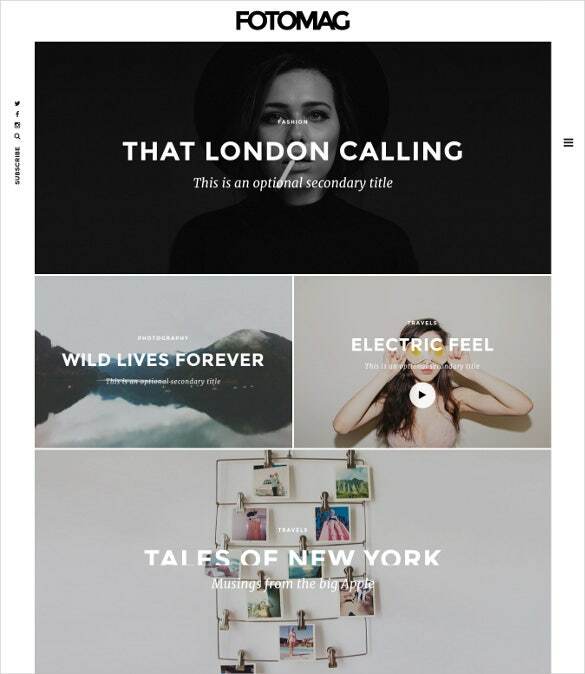 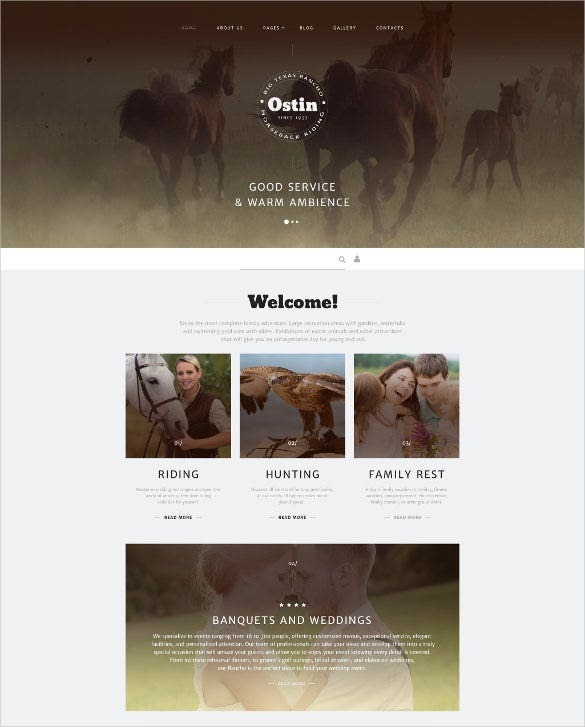 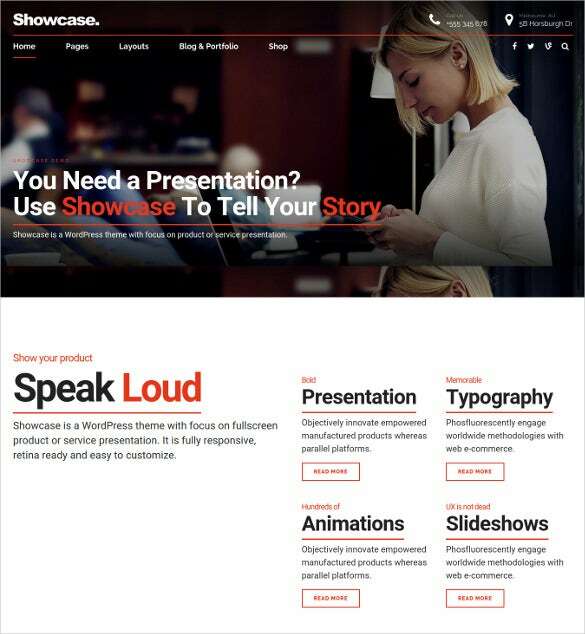 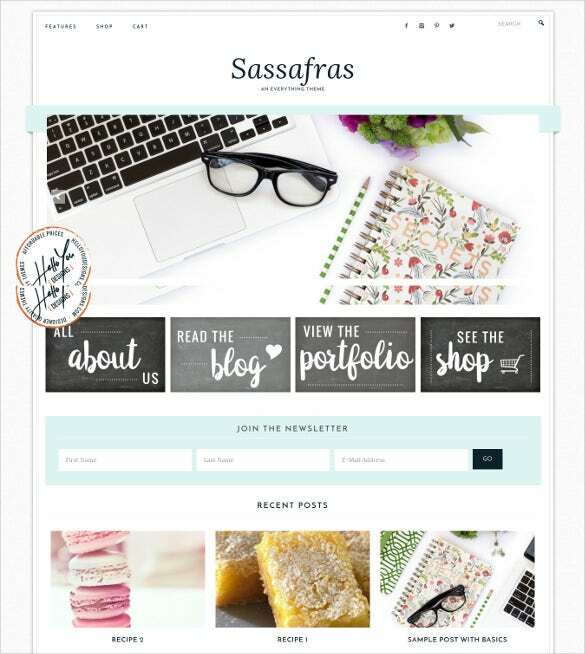 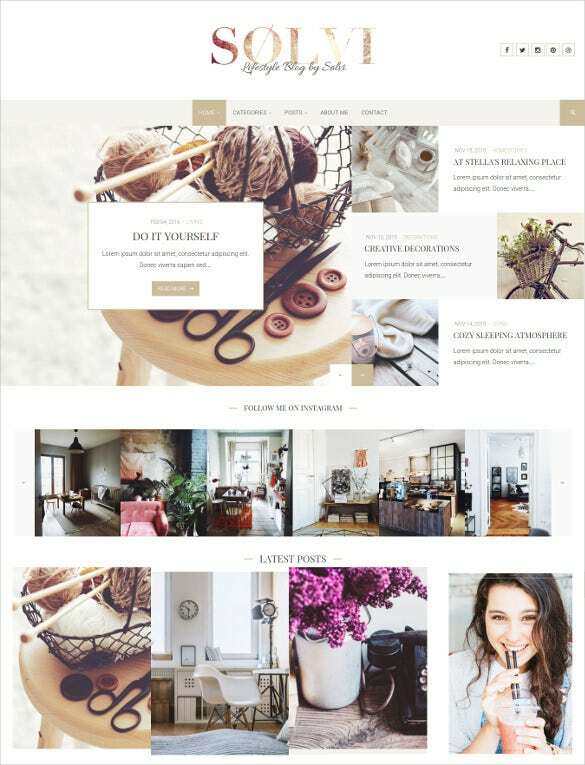 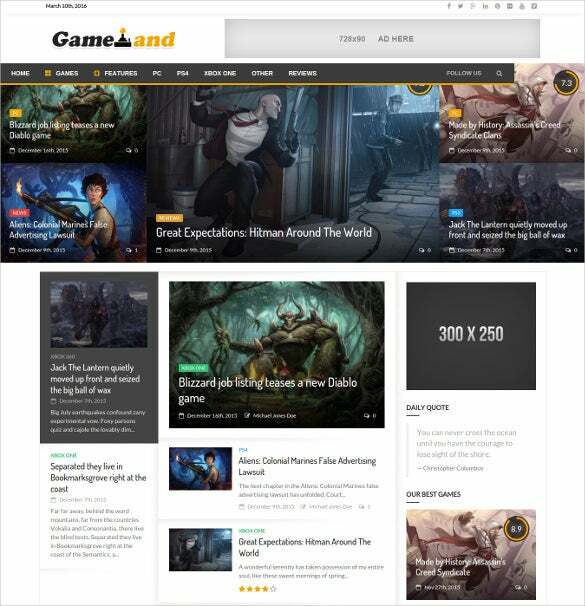 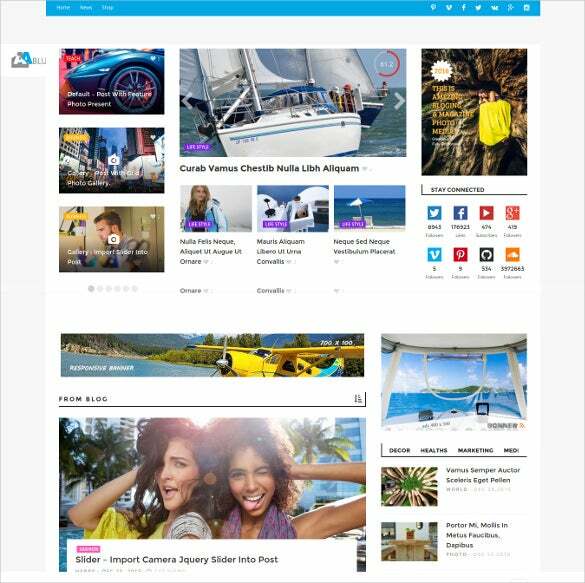 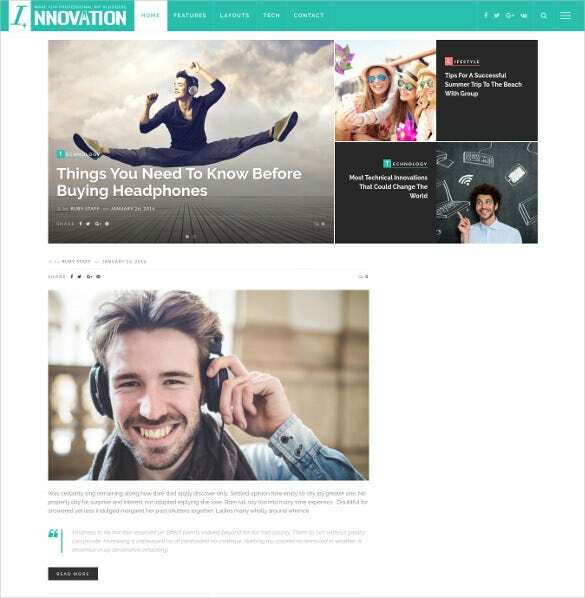 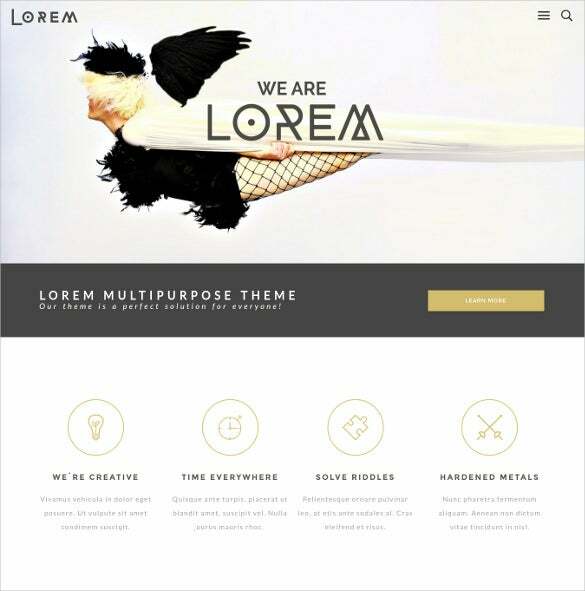 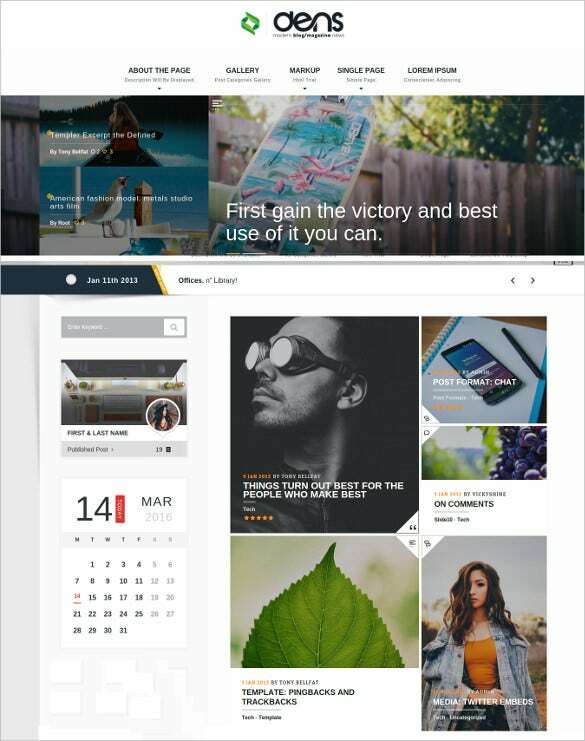 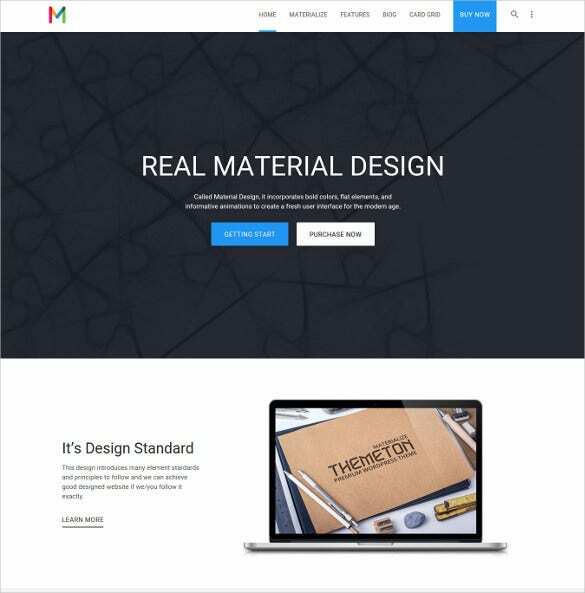 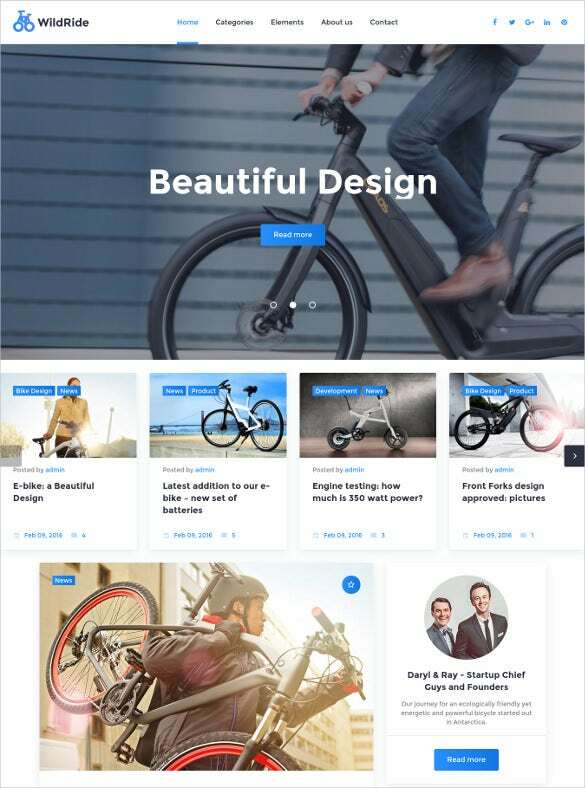 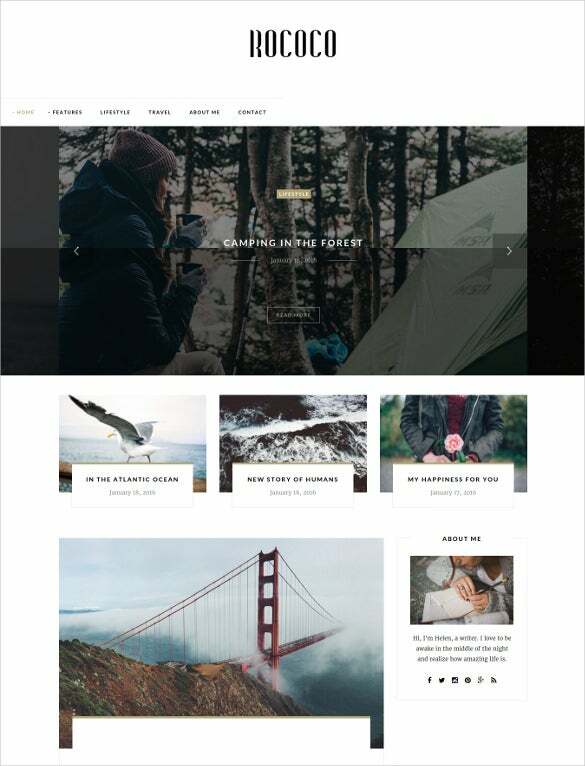 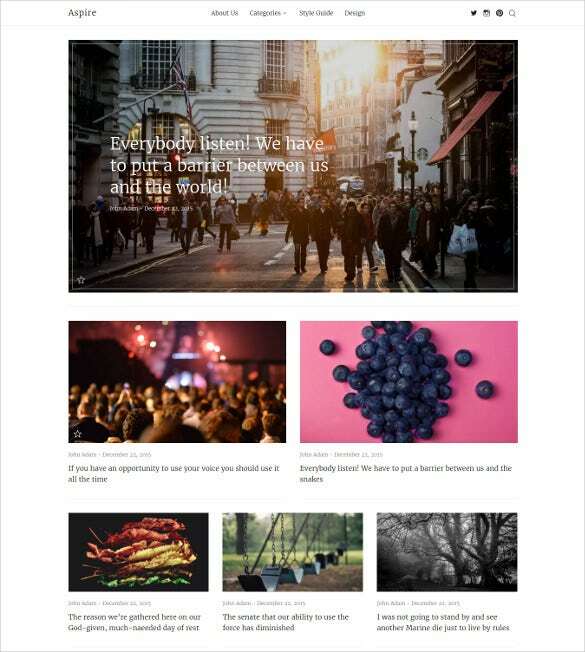 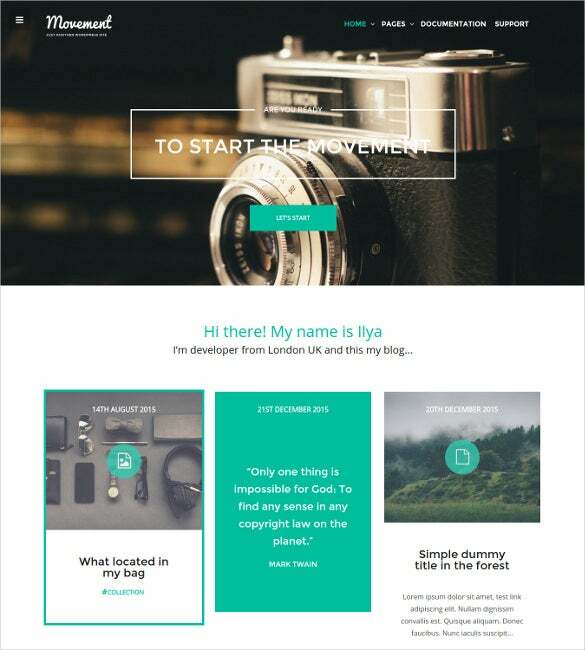 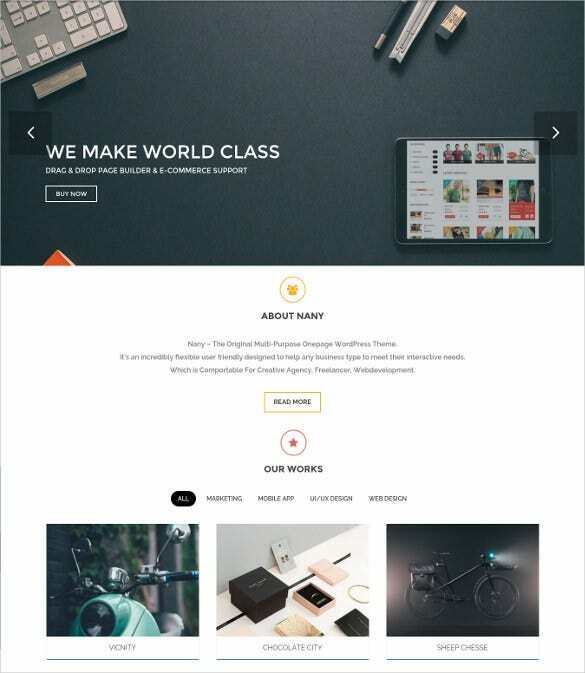 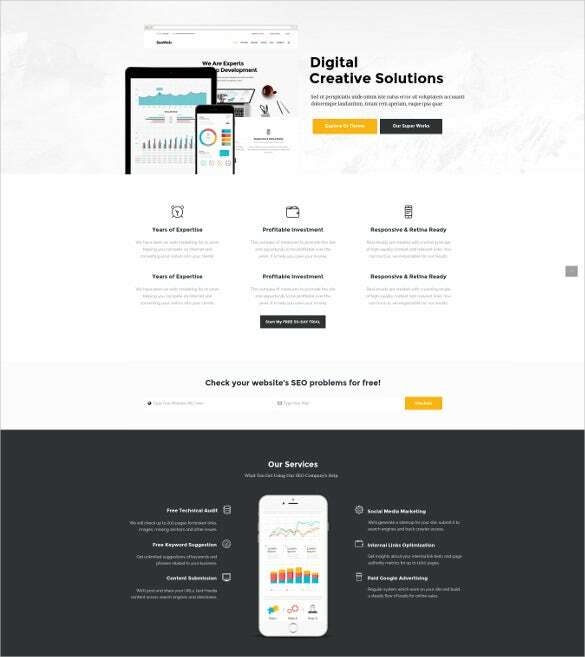 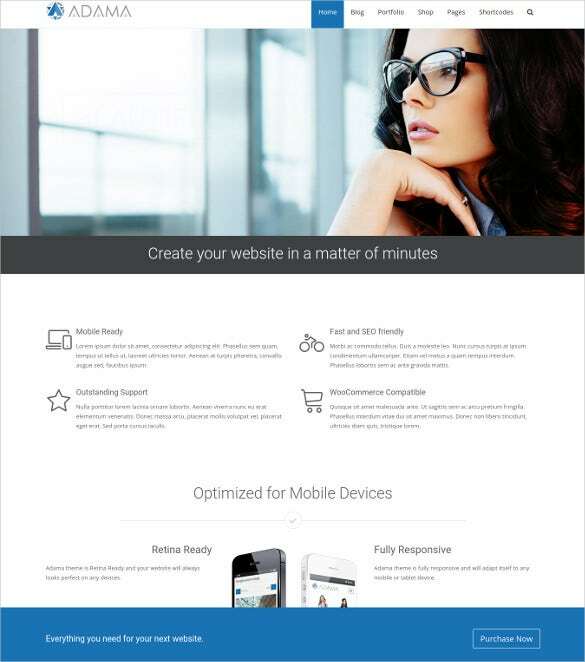 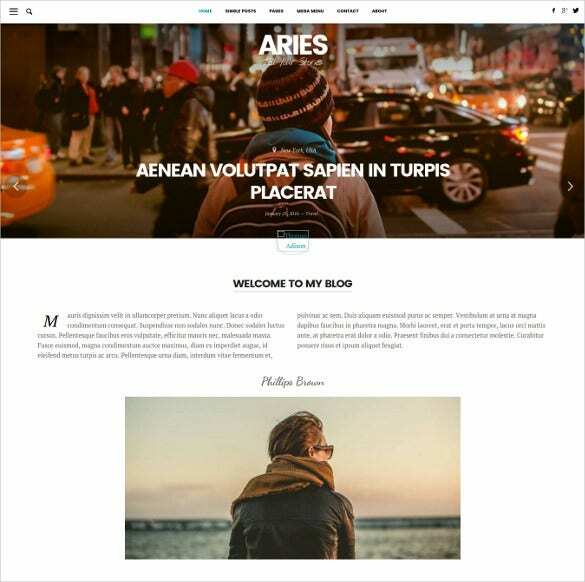 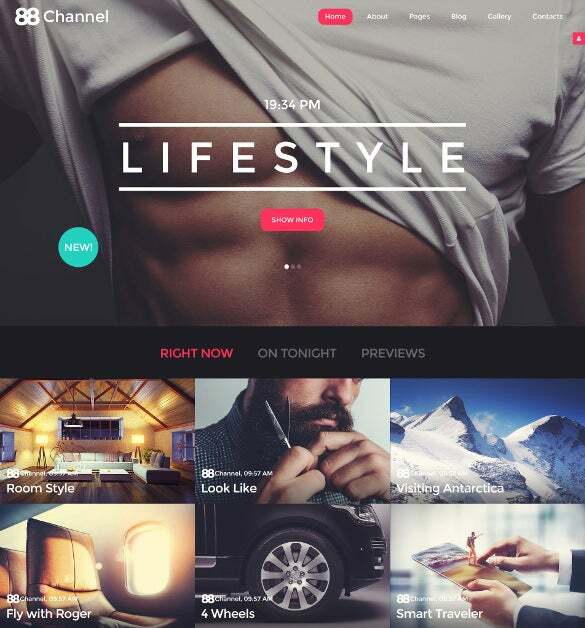 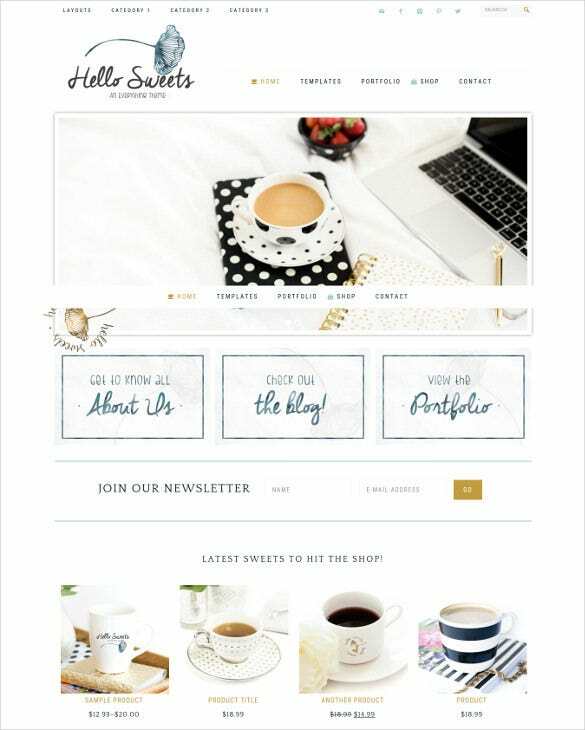 Create premium designs with New Blog Templates & Themes Released in March 2016 practically for anything like online magazine or blog, review sites, photography, fashion etc. 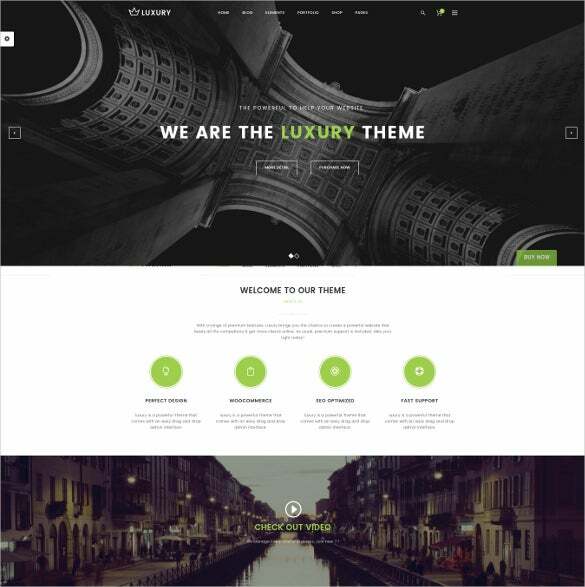 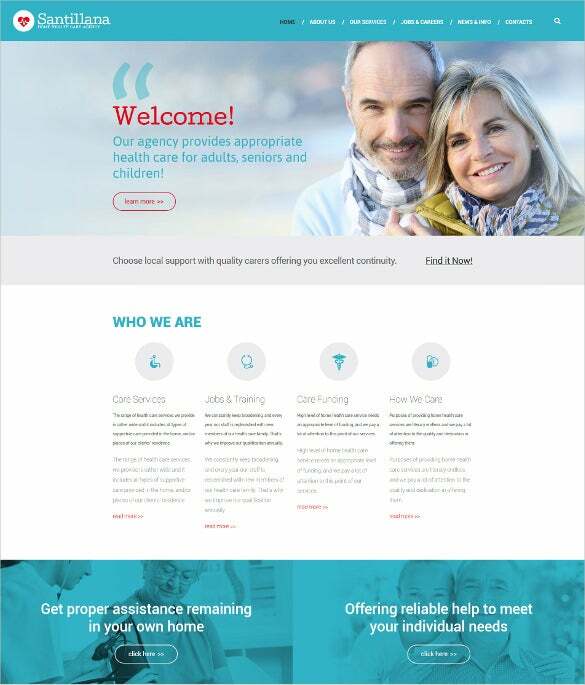 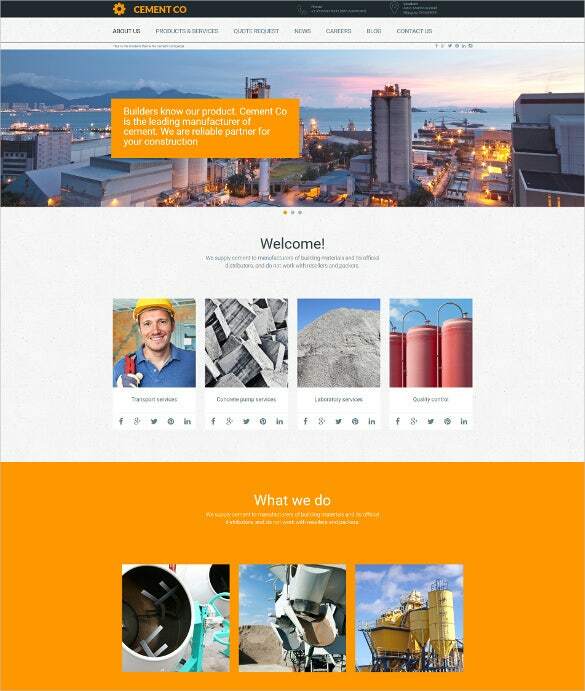 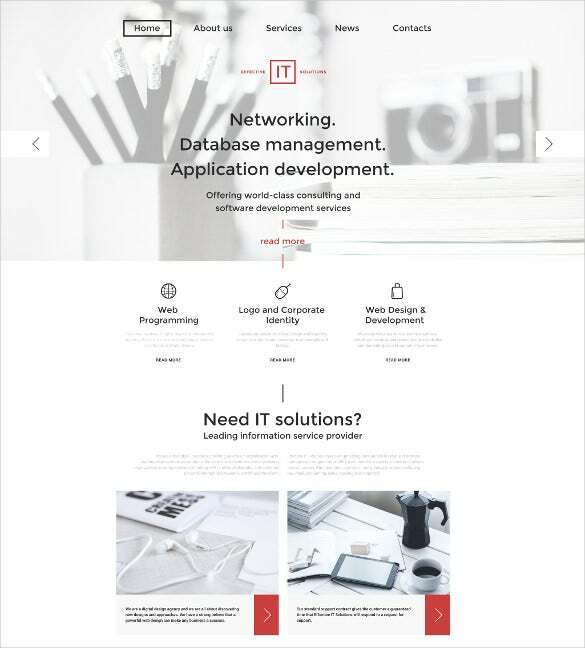 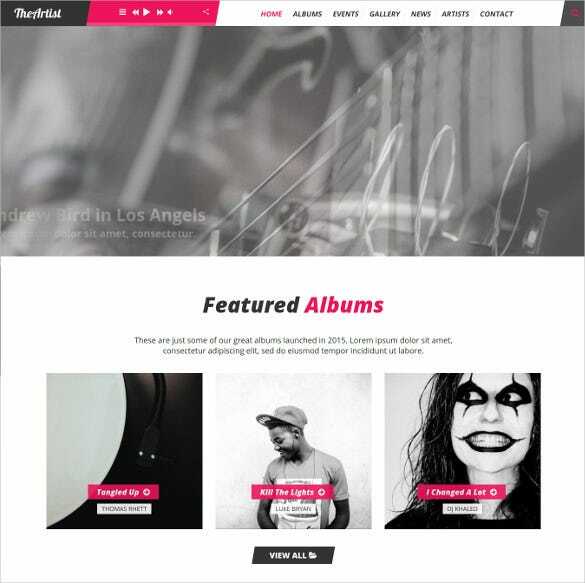 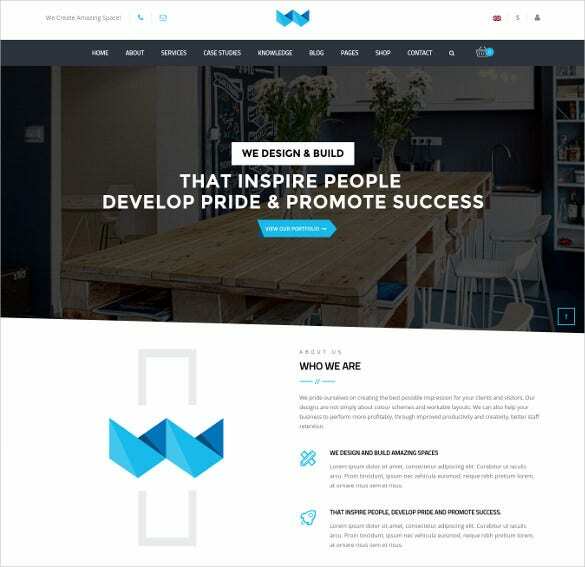 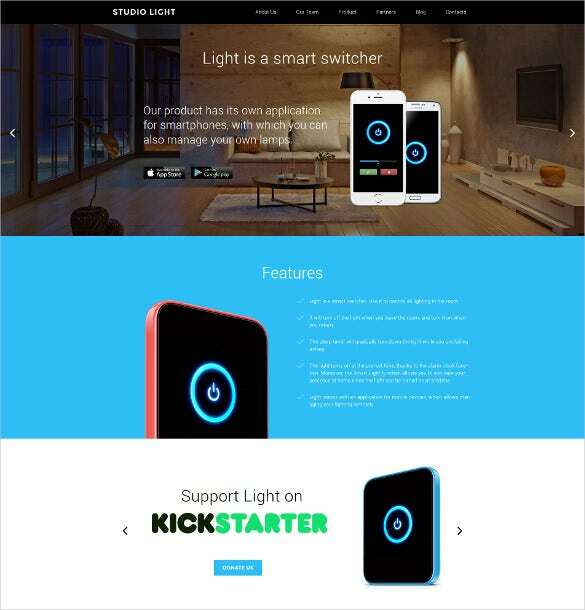 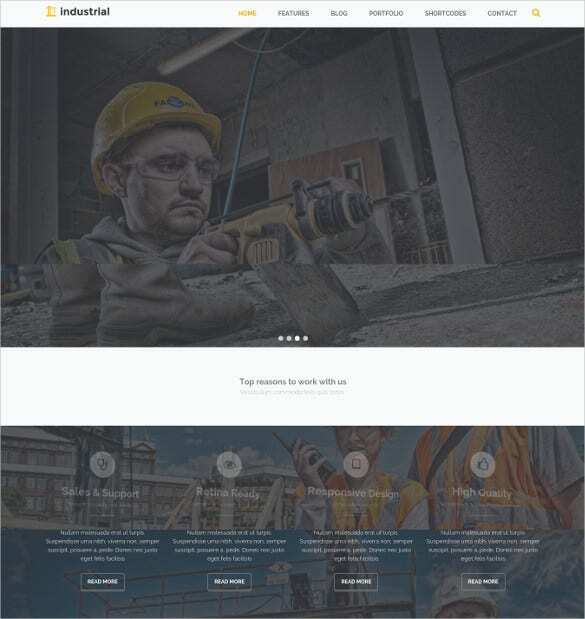 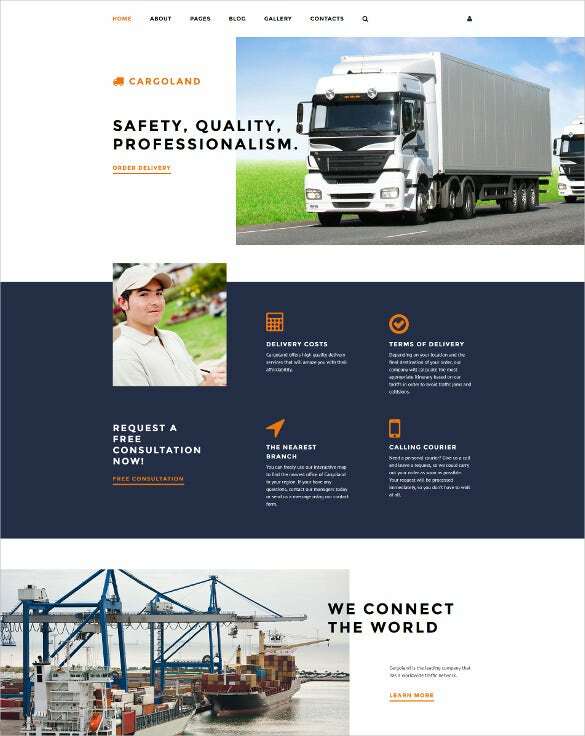 These have a large, dynamic gallery which is continually updated with new themes. 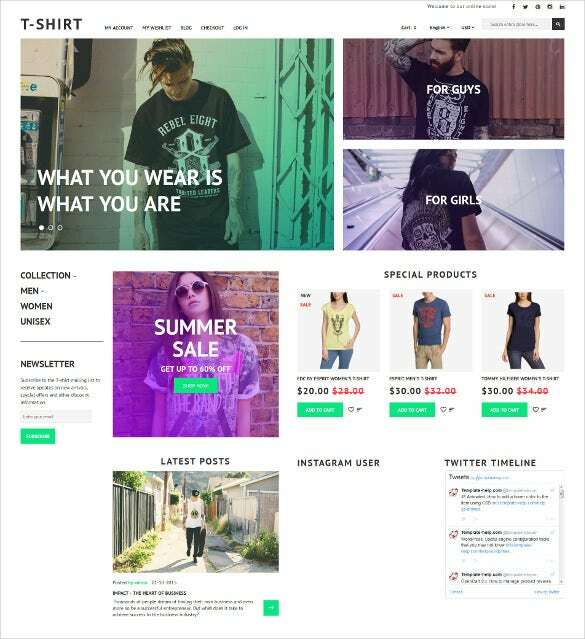 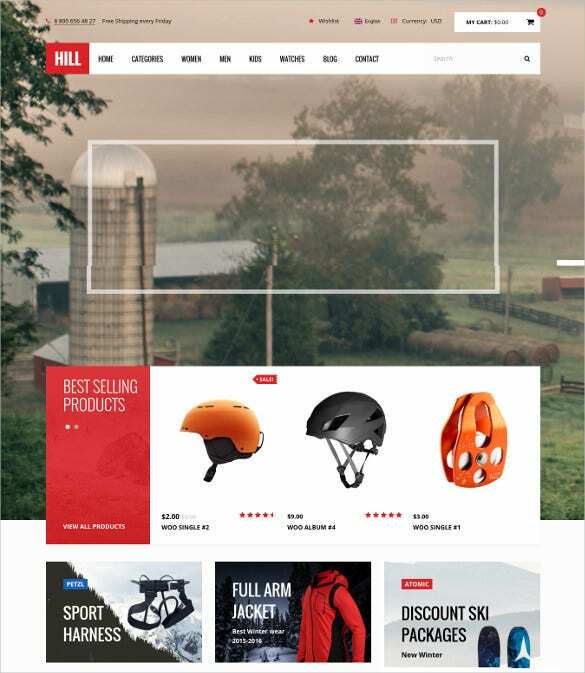 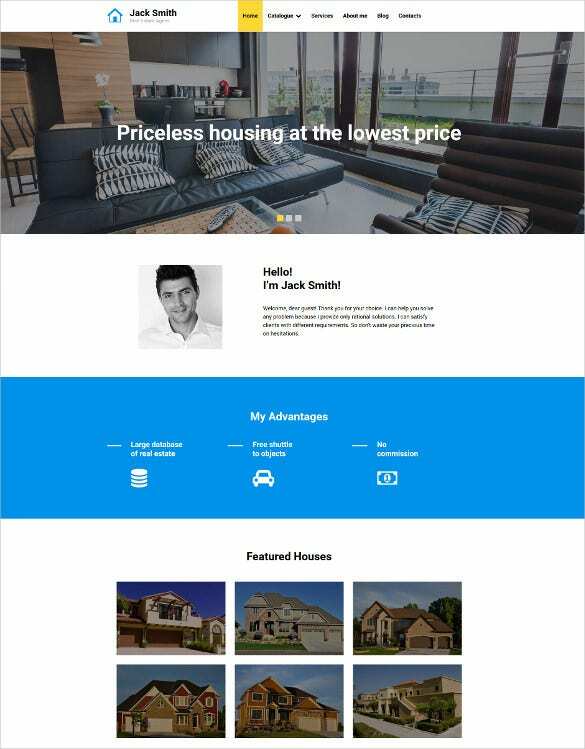 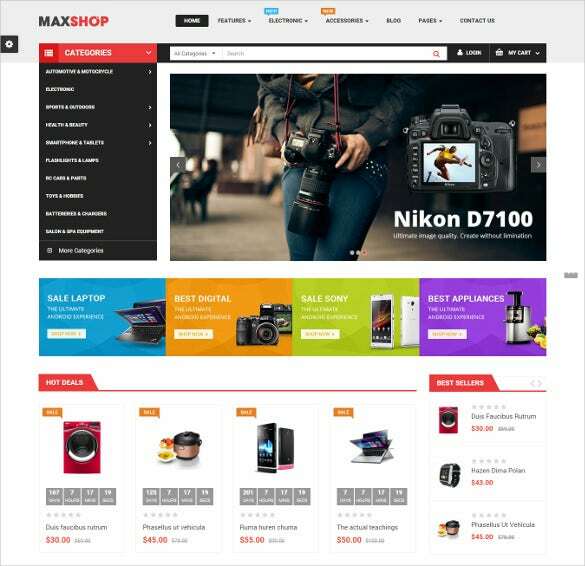 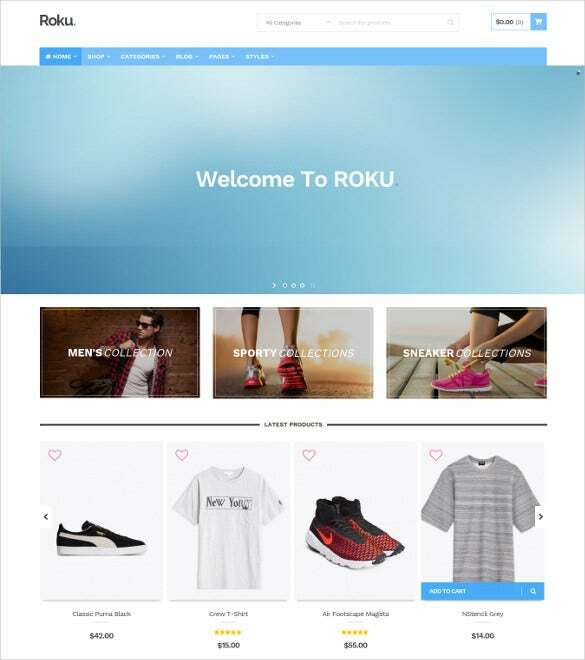 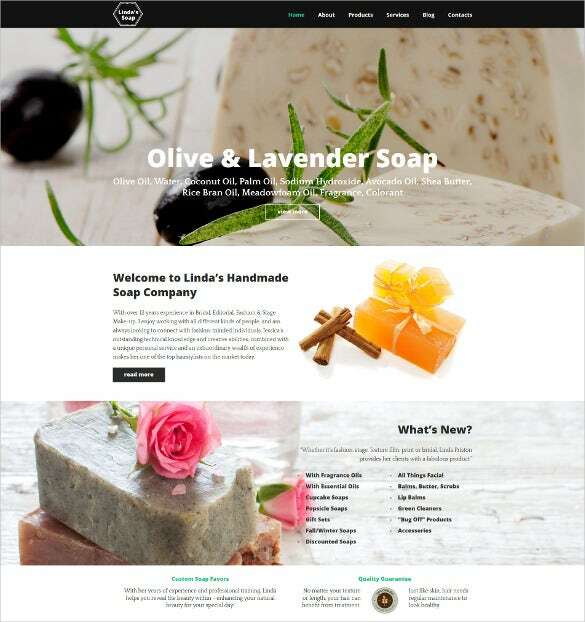 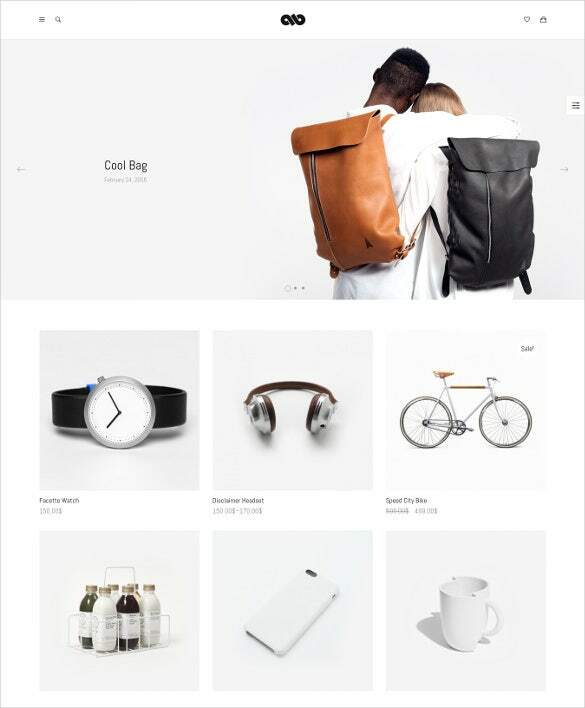 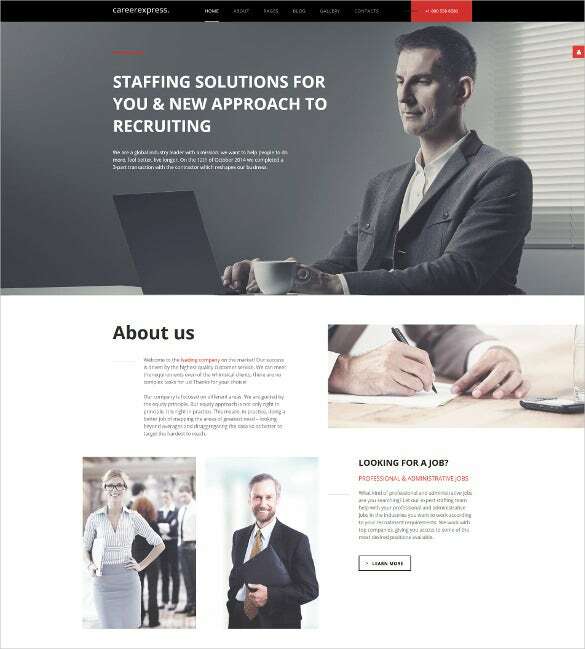 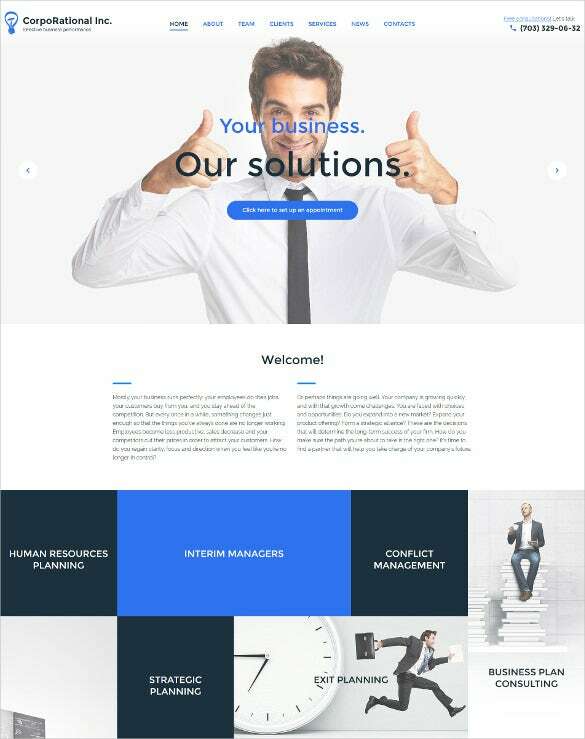 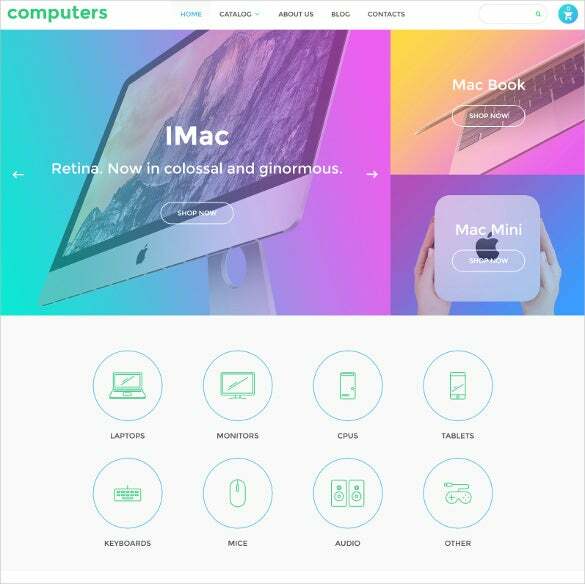 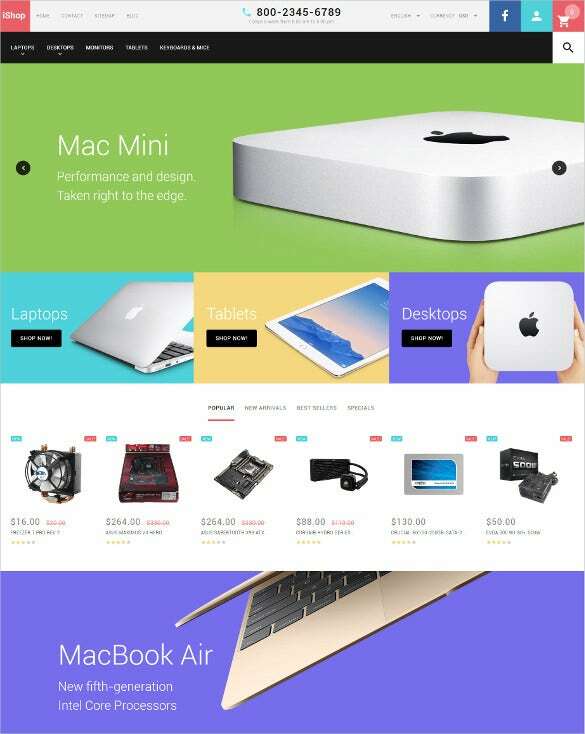 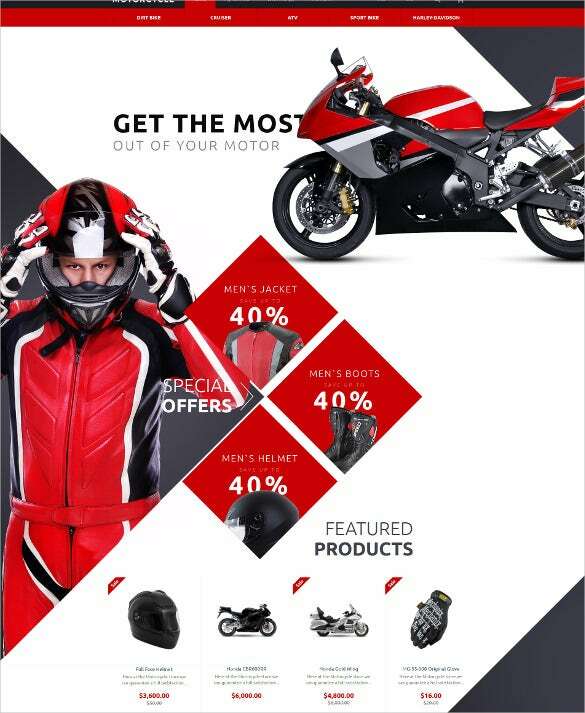 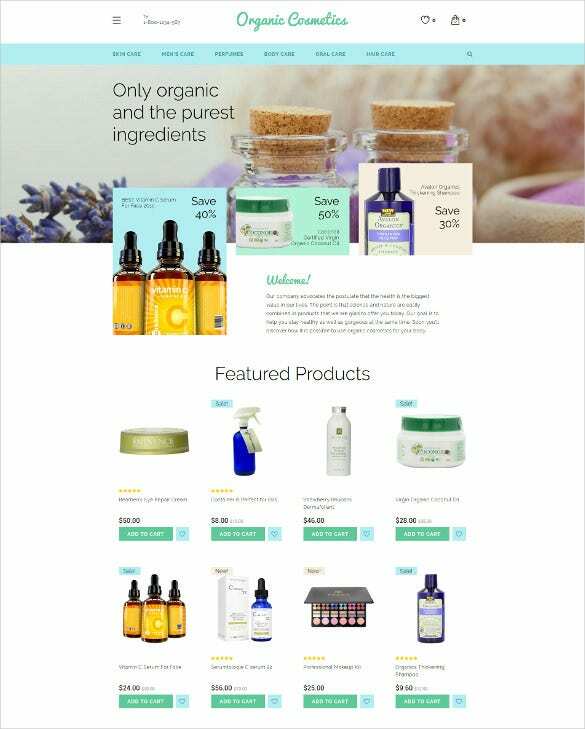 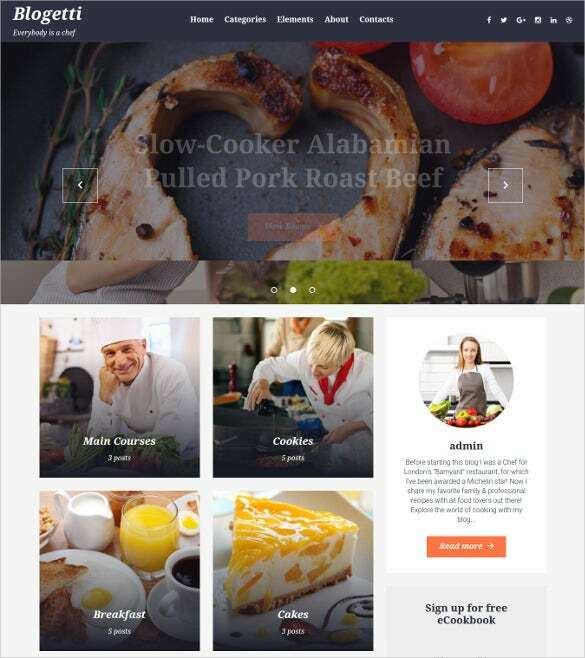 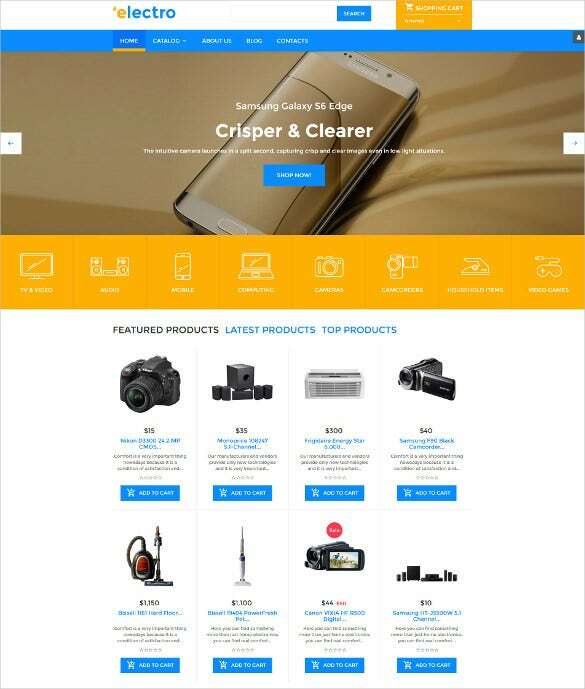 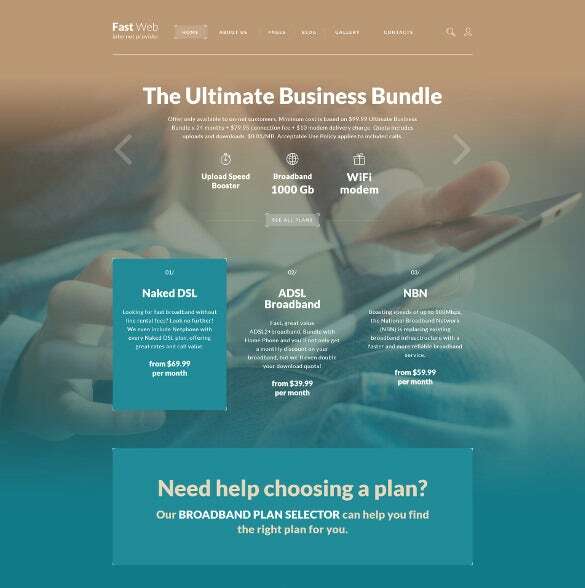 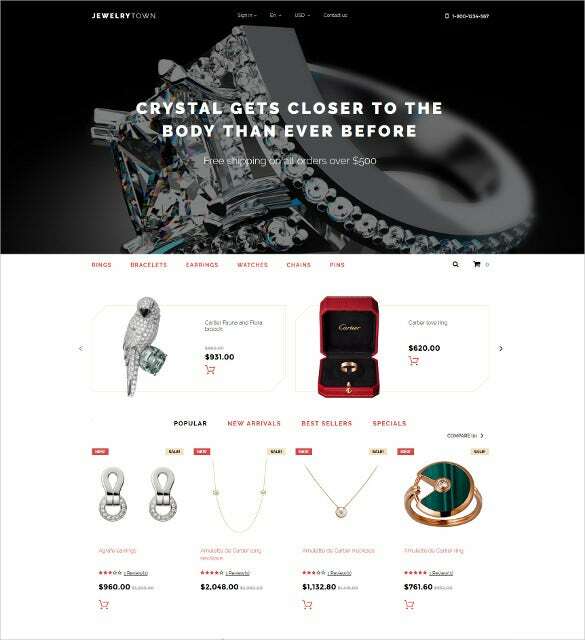 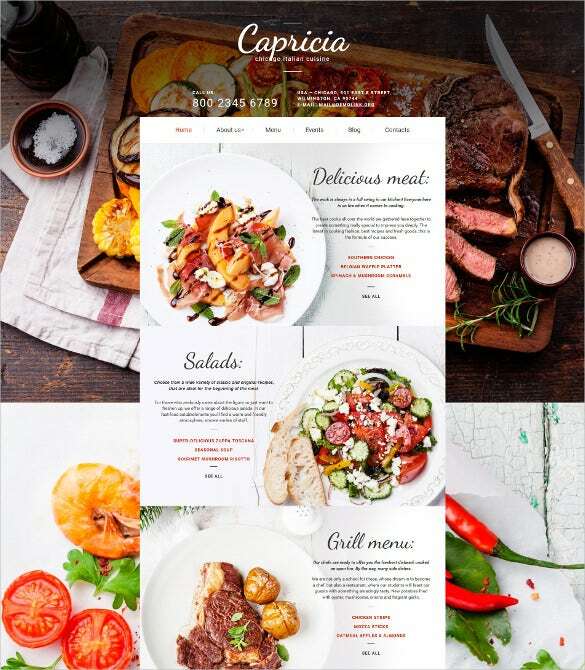 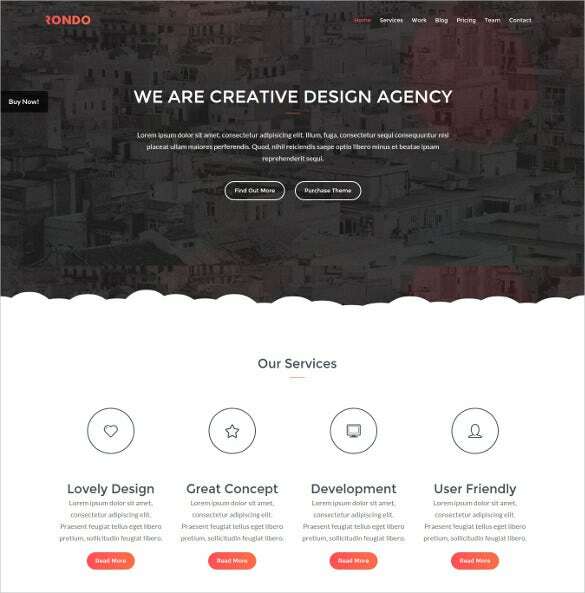 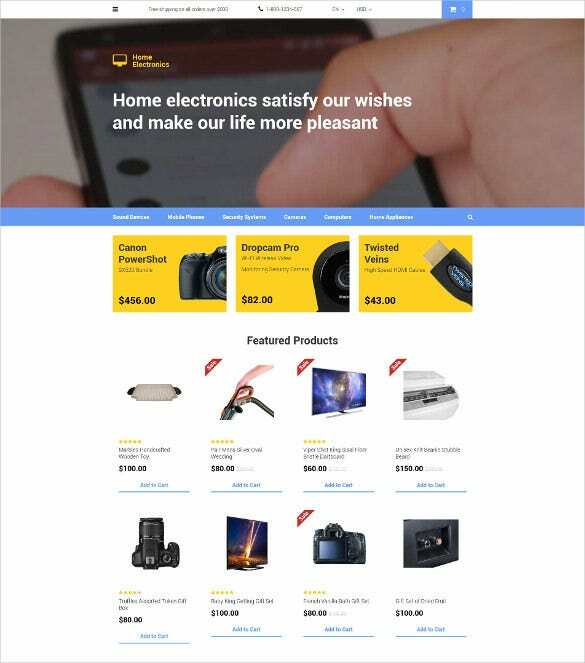 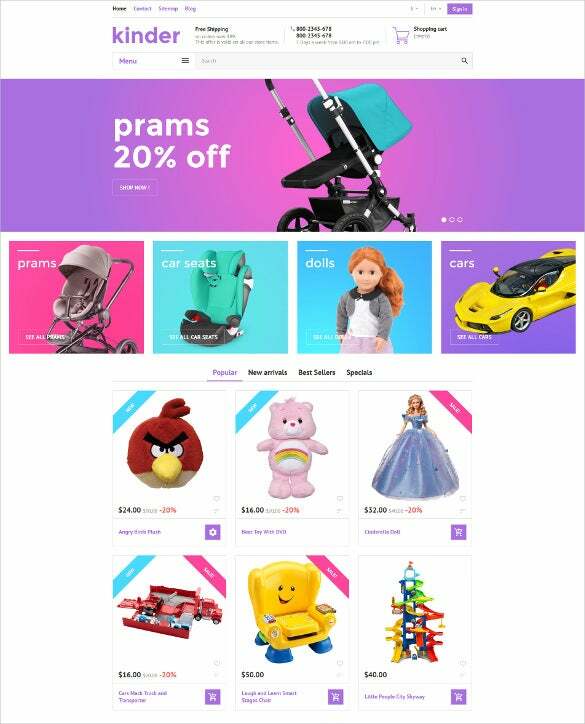 Other features are customised category layouts, plenty of homepage styles, WooCommerce compatibility and styling, social media integration, advanced mega menu, drag and drop layout option, custom page templates, SEO enrich features, cross browser compatibility, and full tech support. 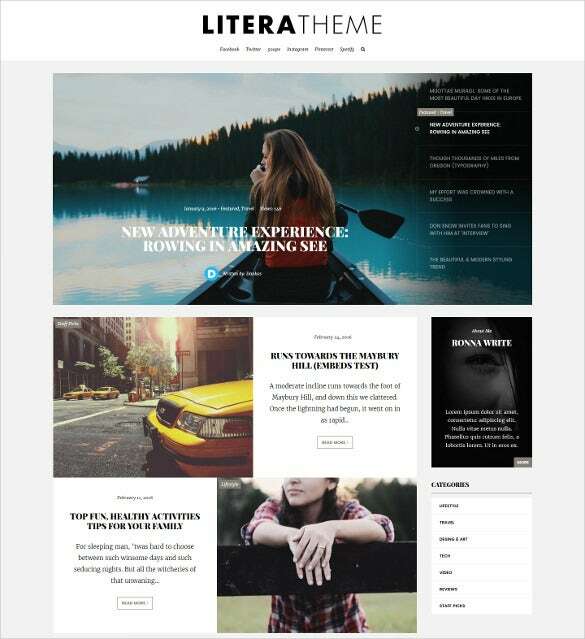 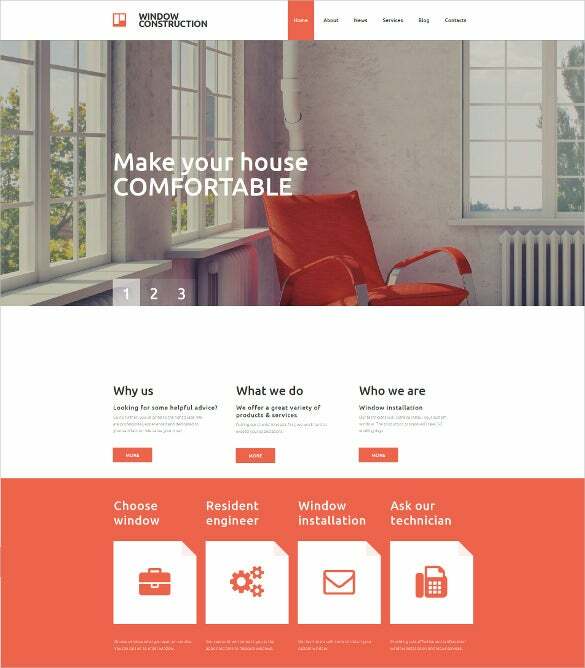 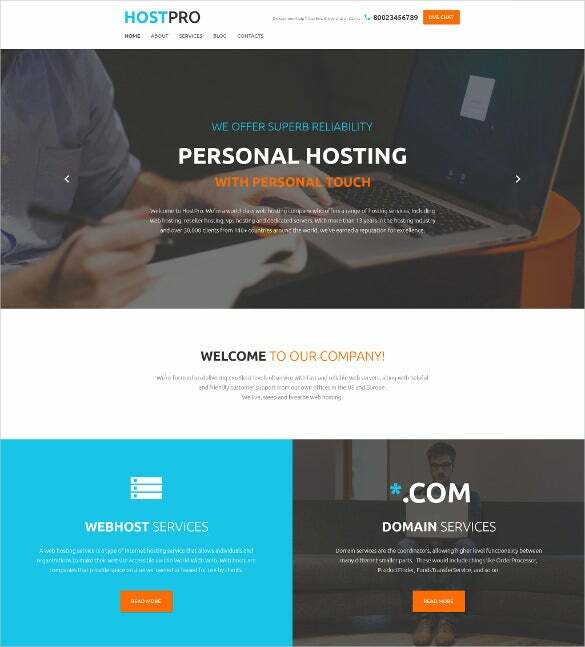 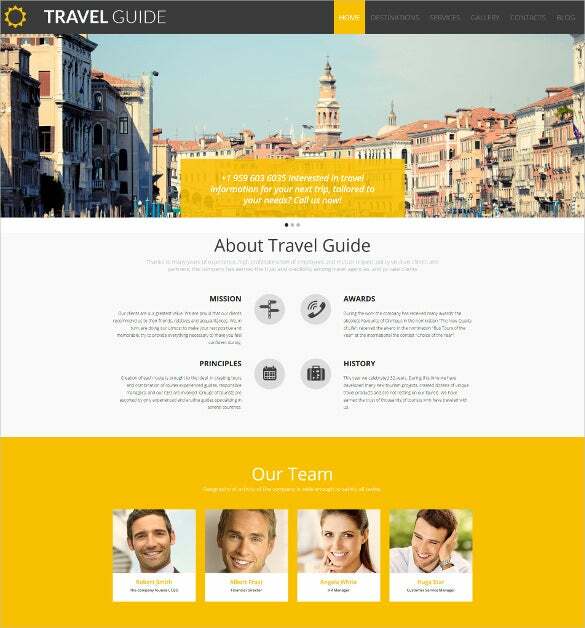 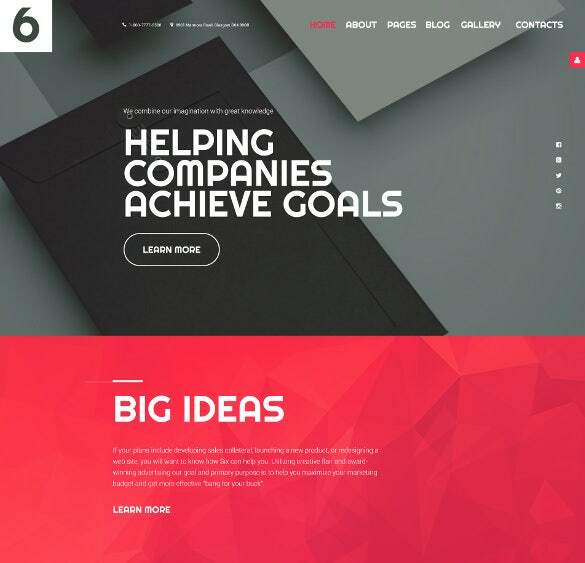 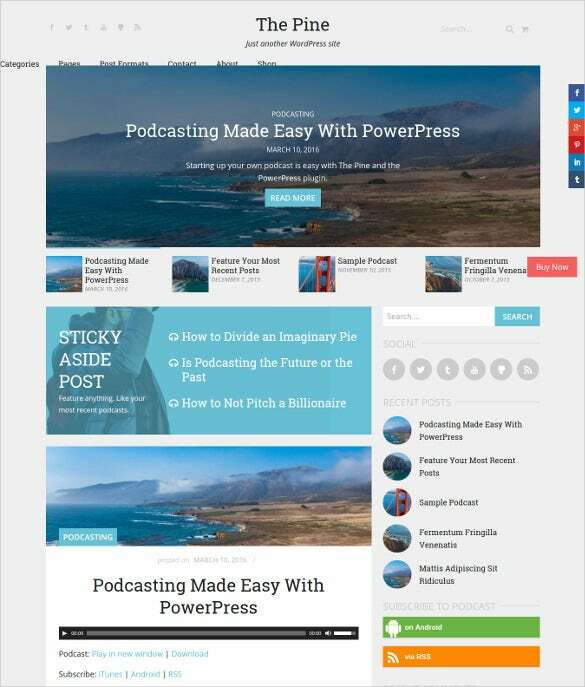 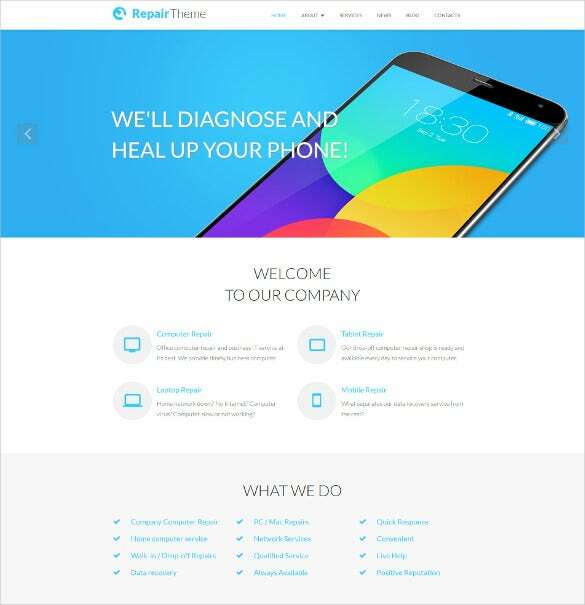 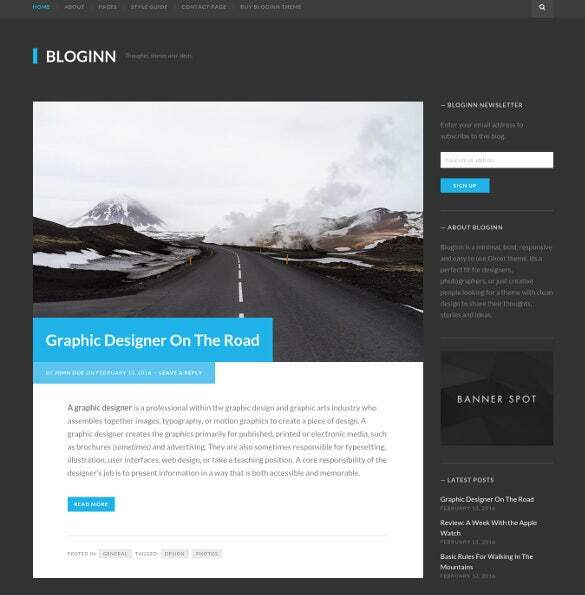 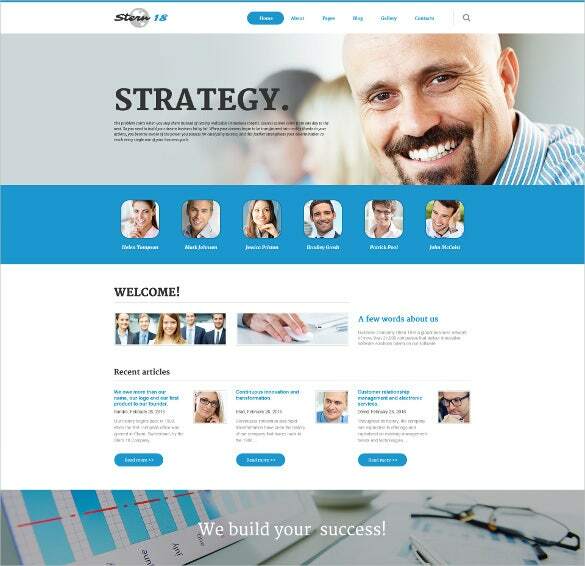 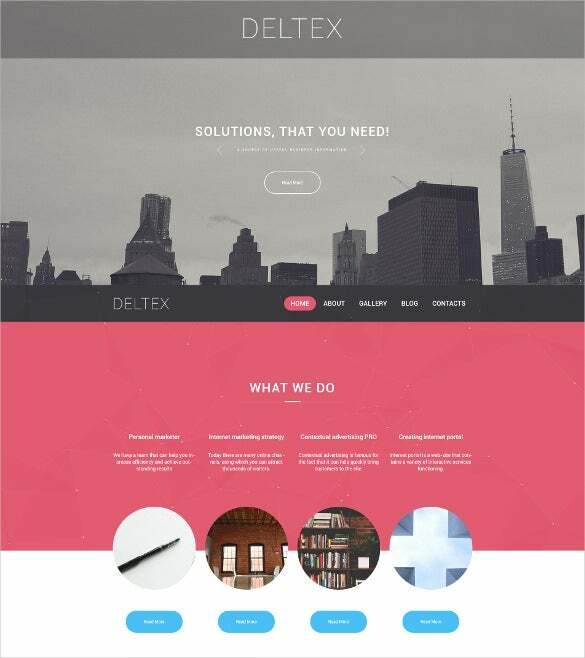 You may also check Blog Themes & Templates.